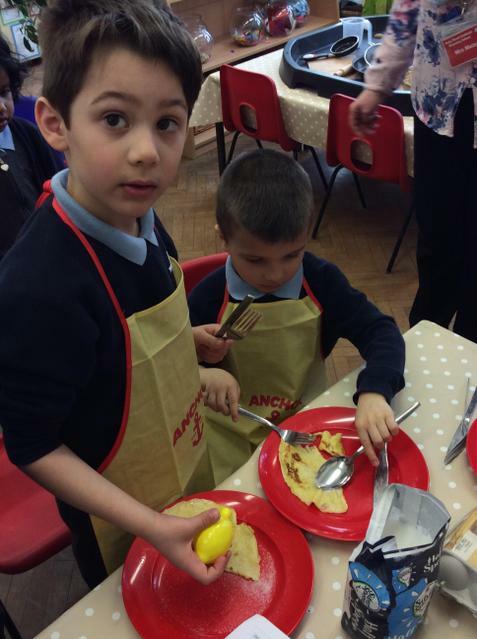 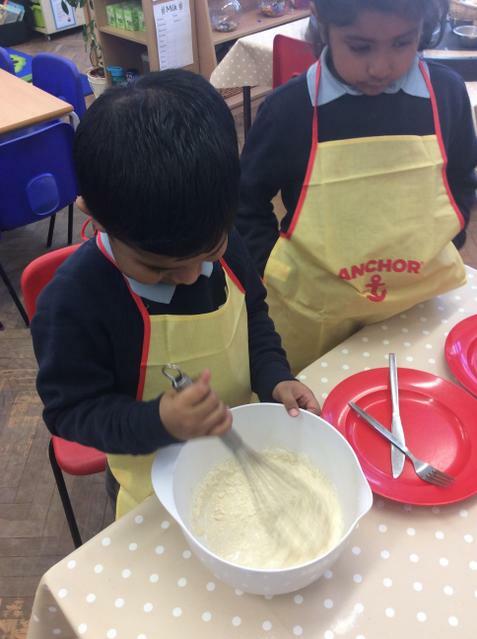 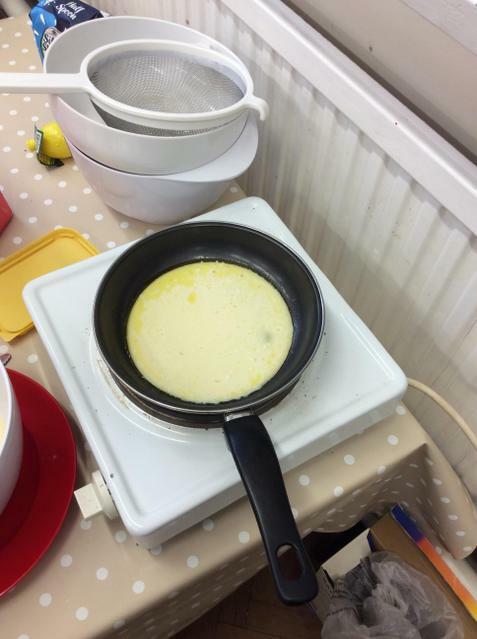 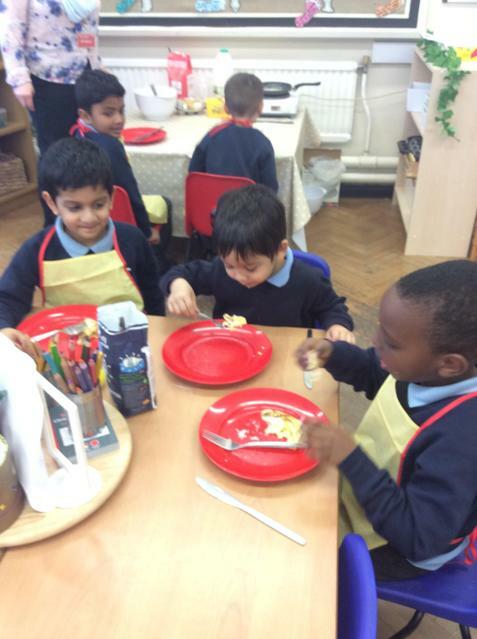 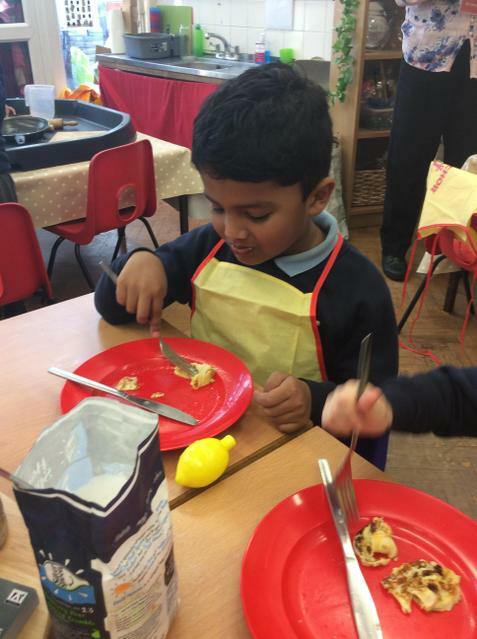 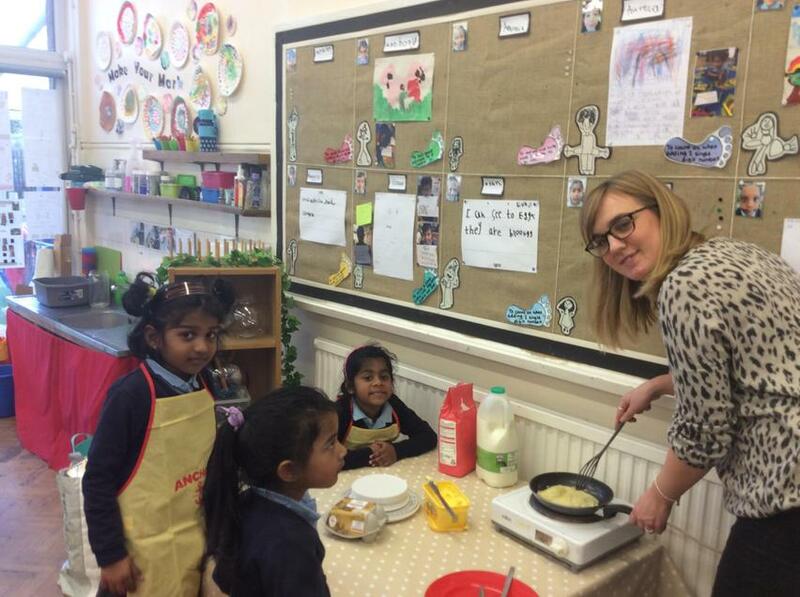 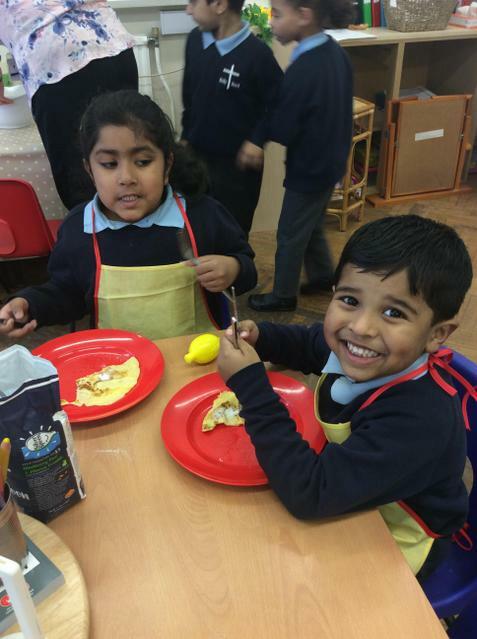 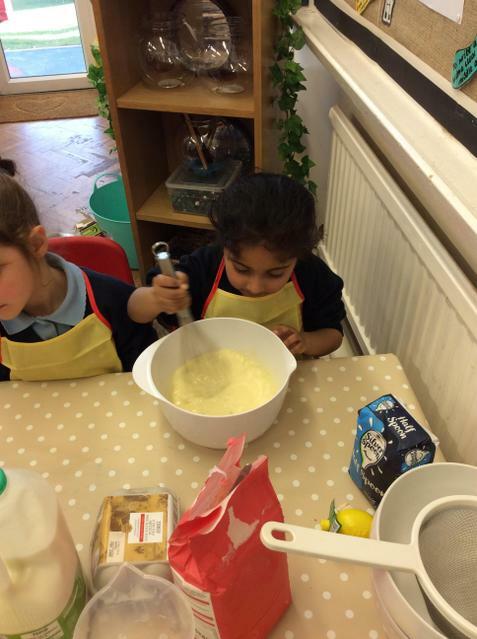 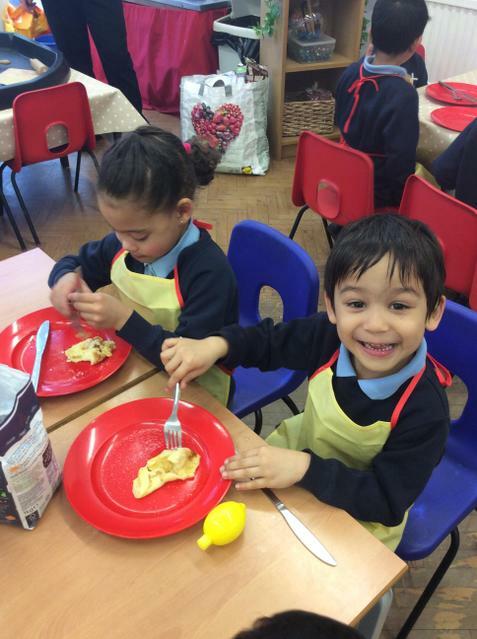 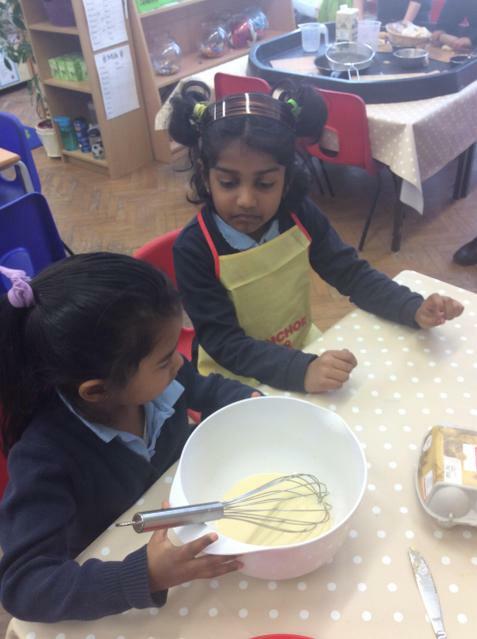 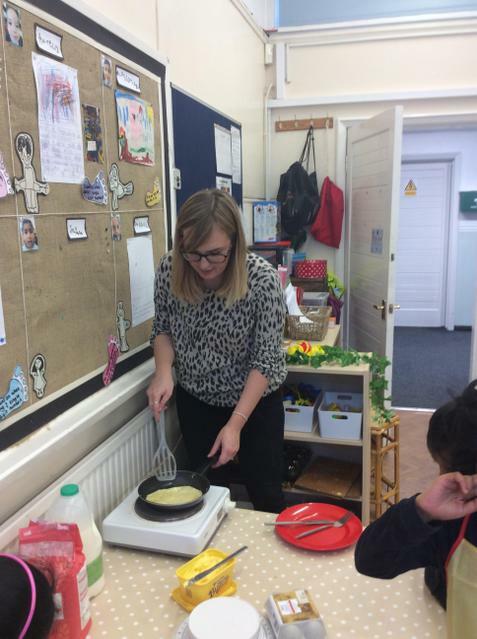 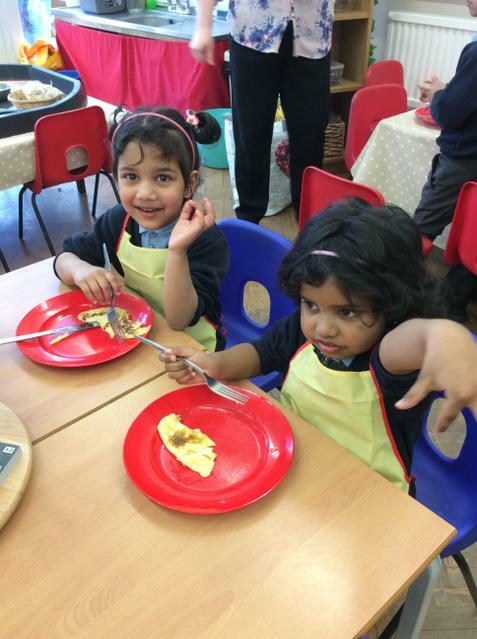 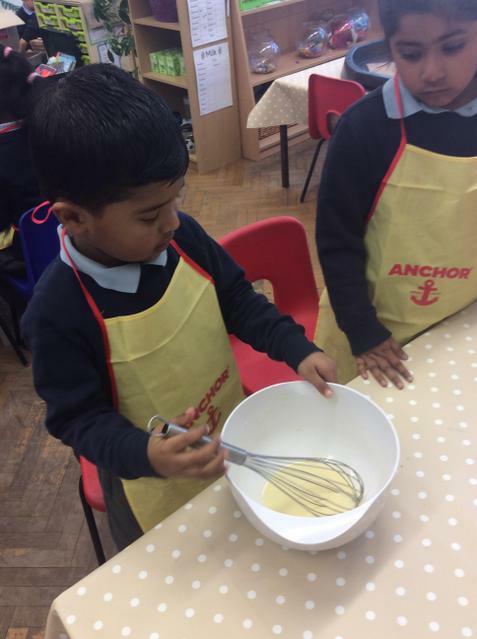 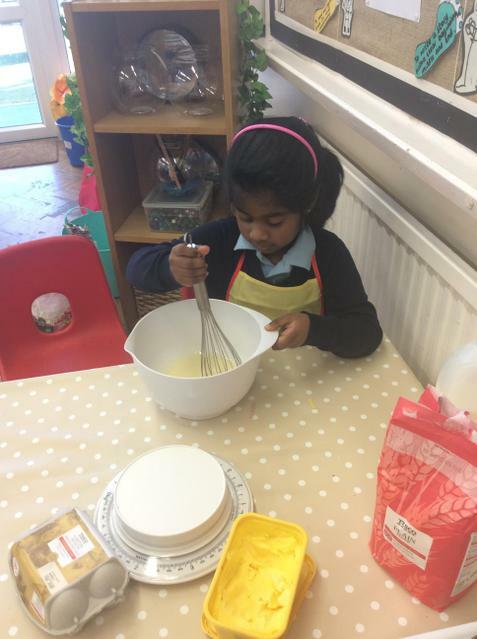 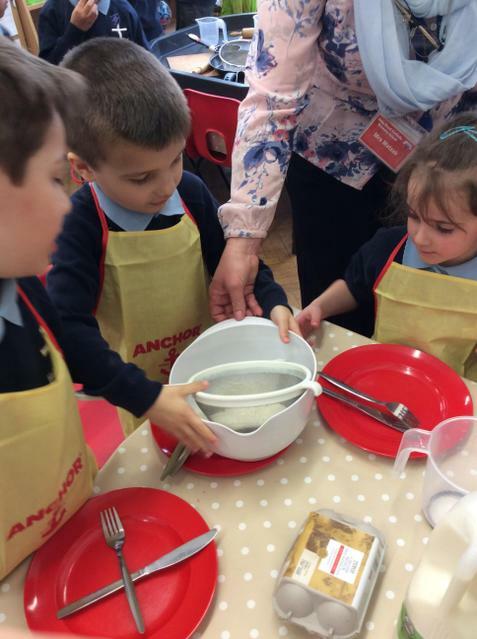 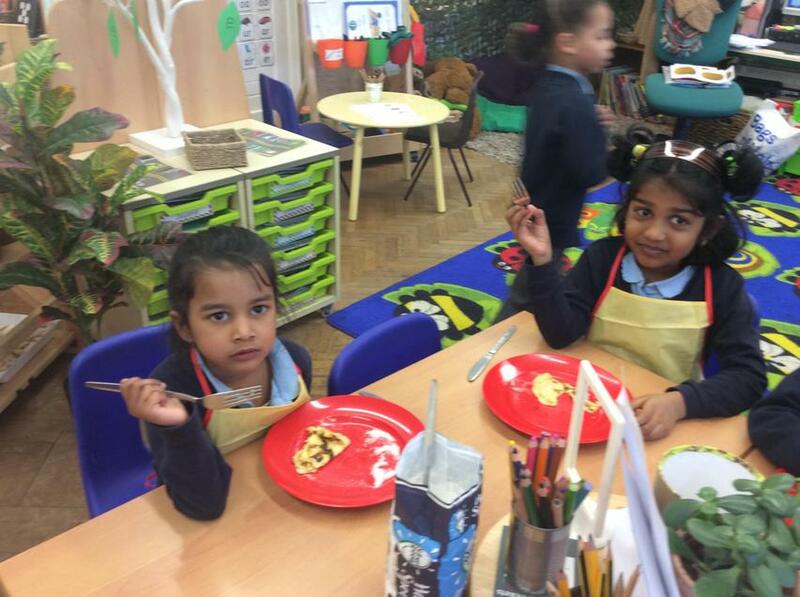 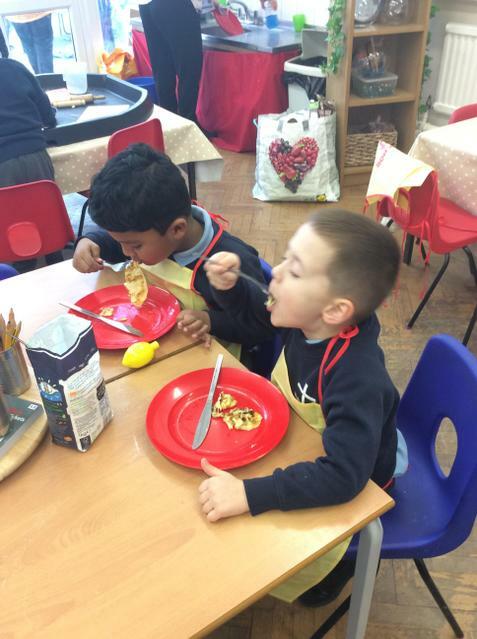 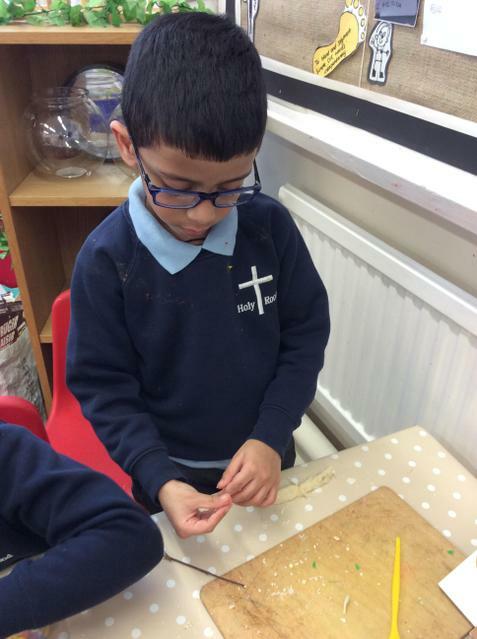 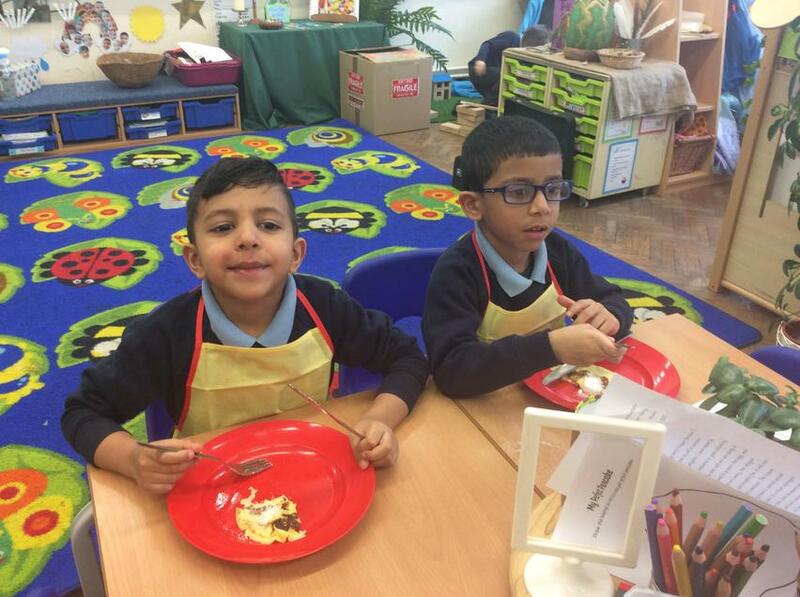 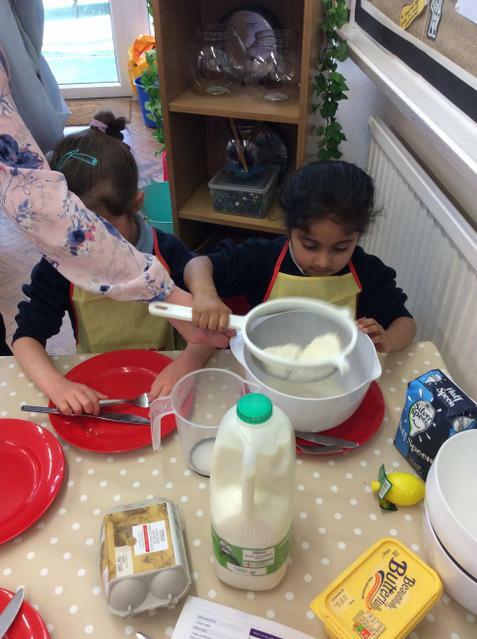 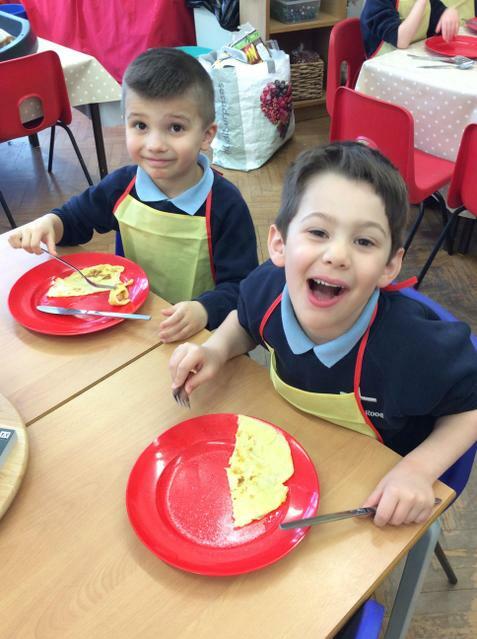 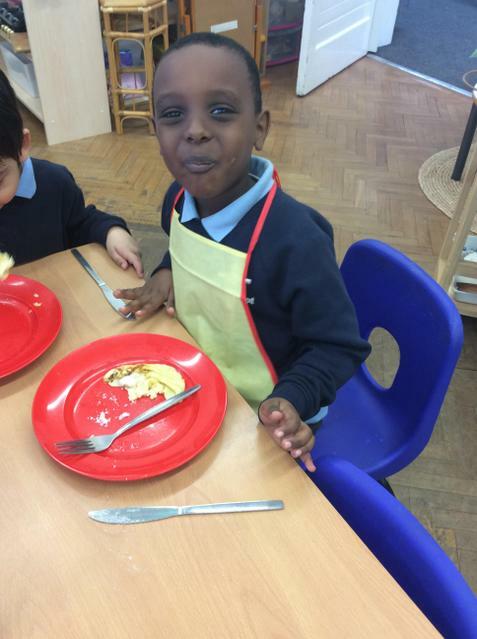 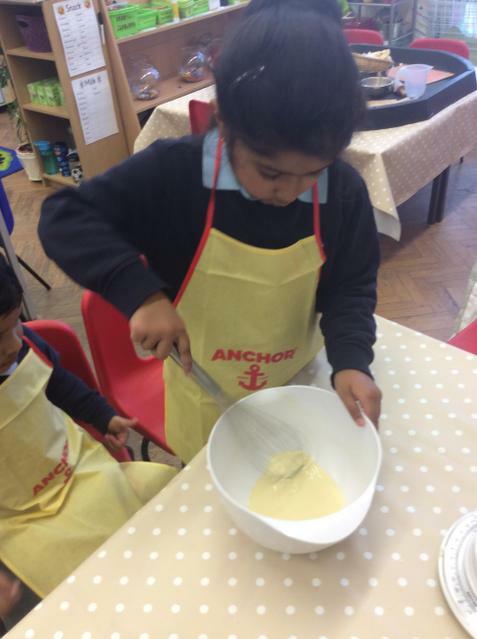 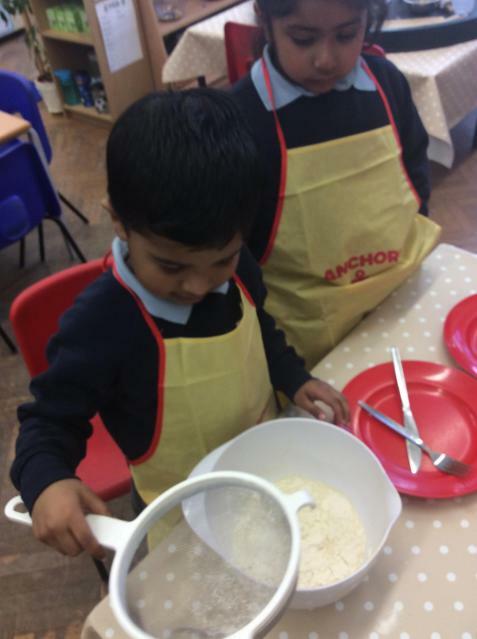 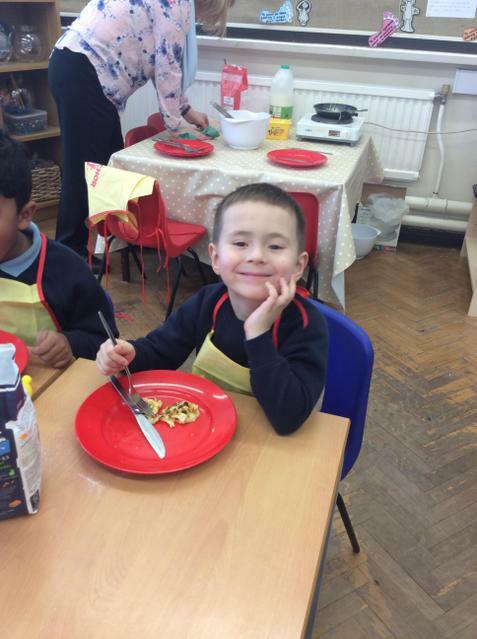 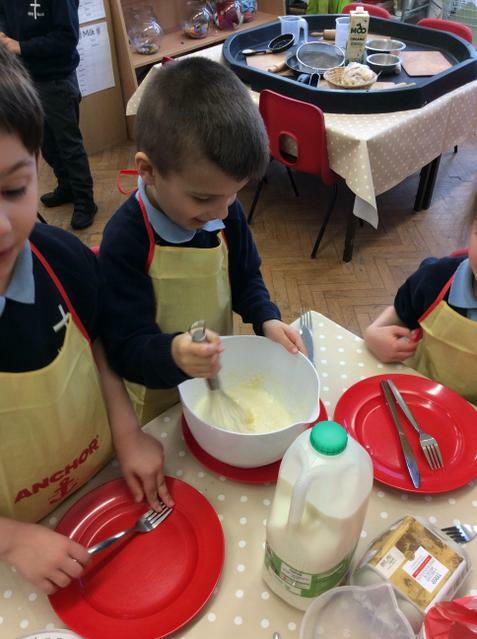 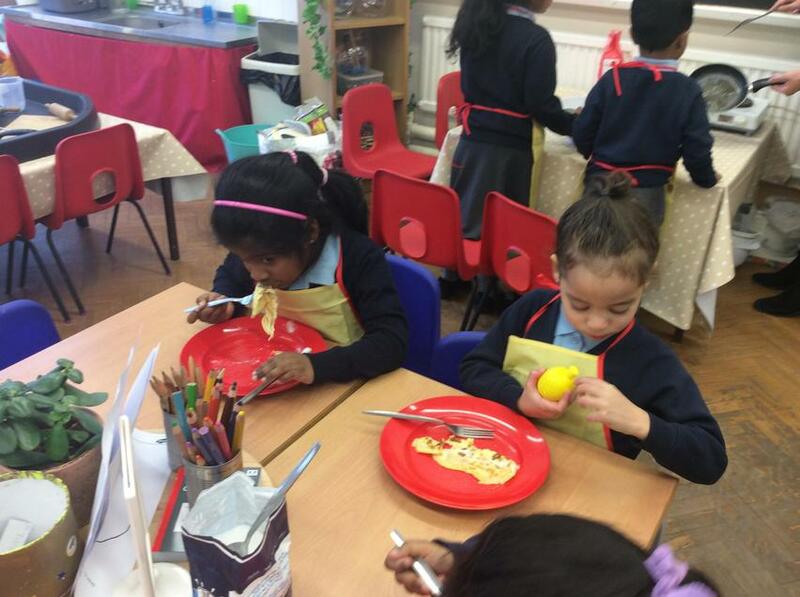 Pancake Day - We enjoyed making and eating pancakes on pancake day. 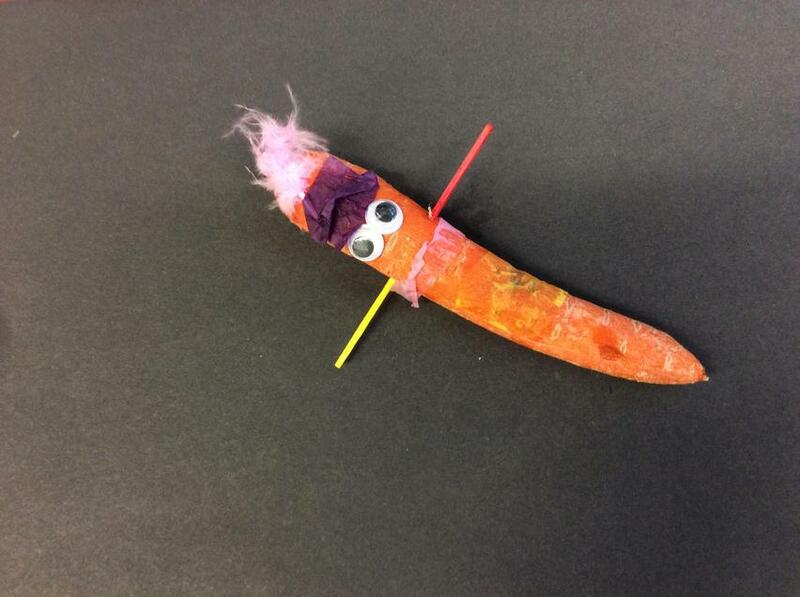 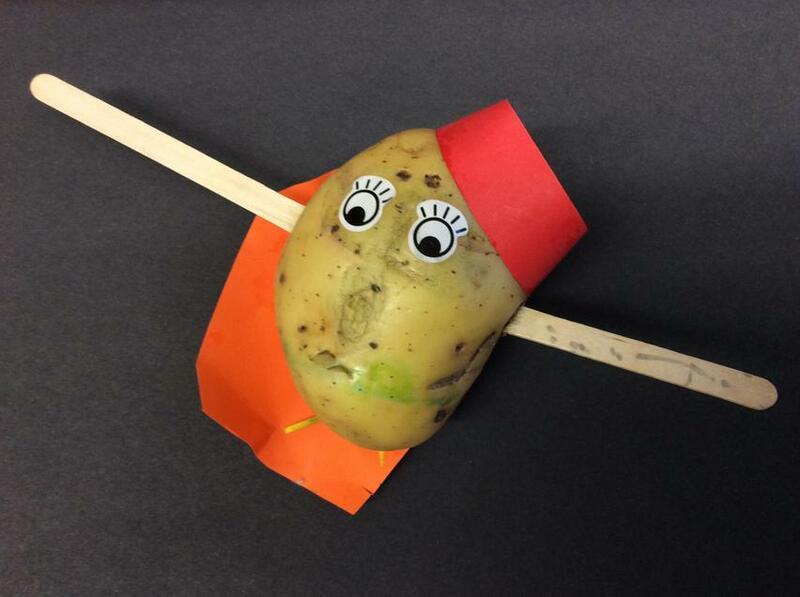 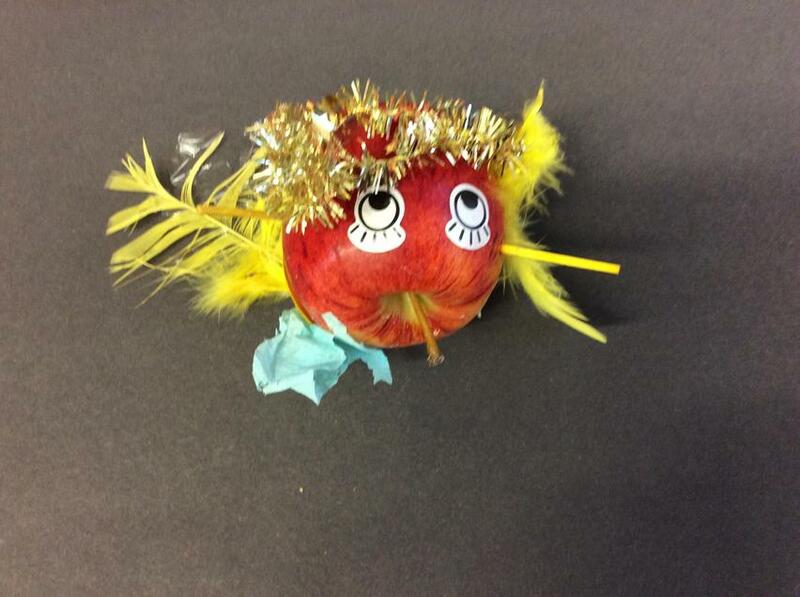 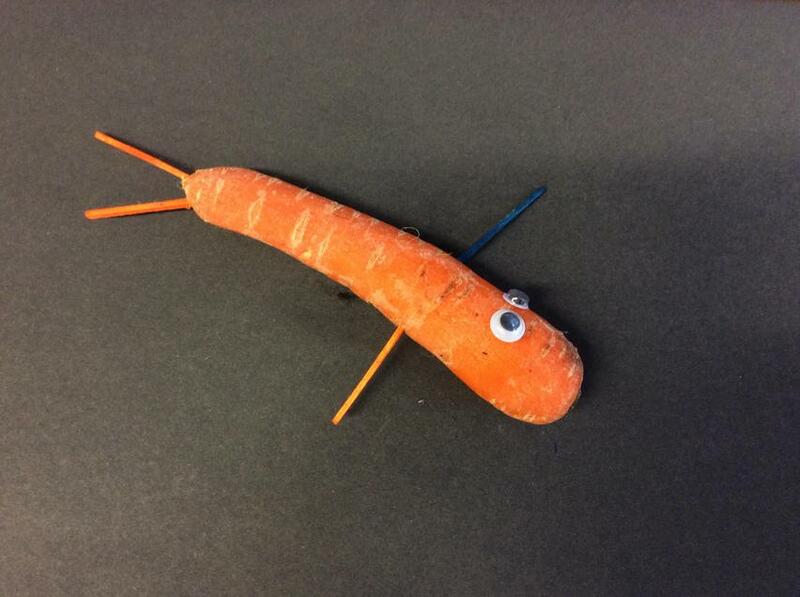 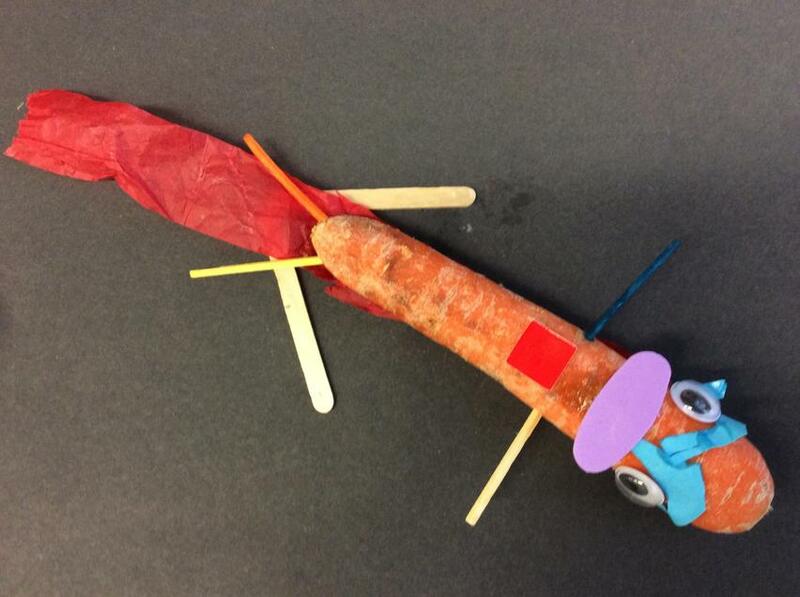 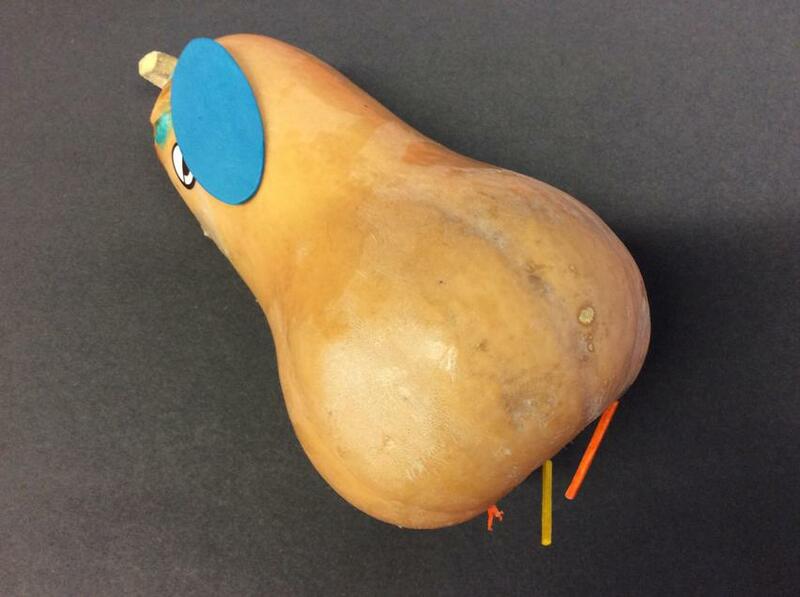 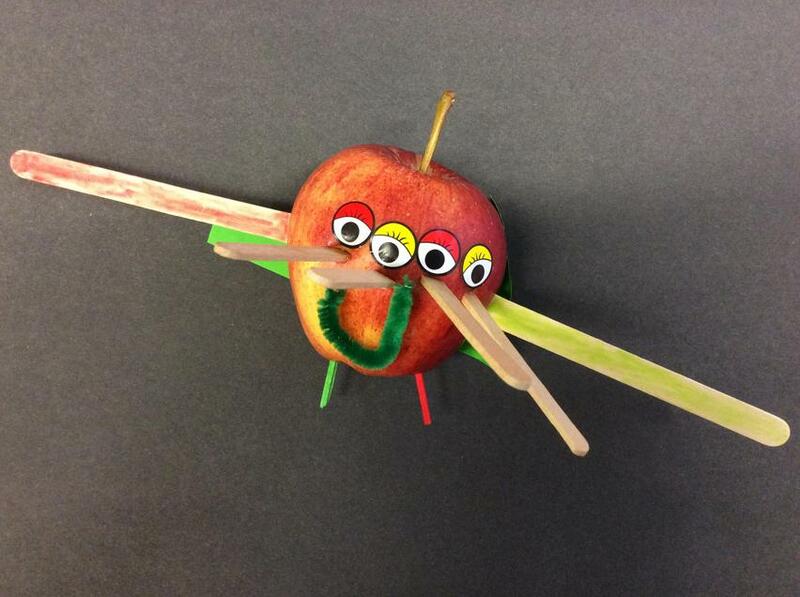 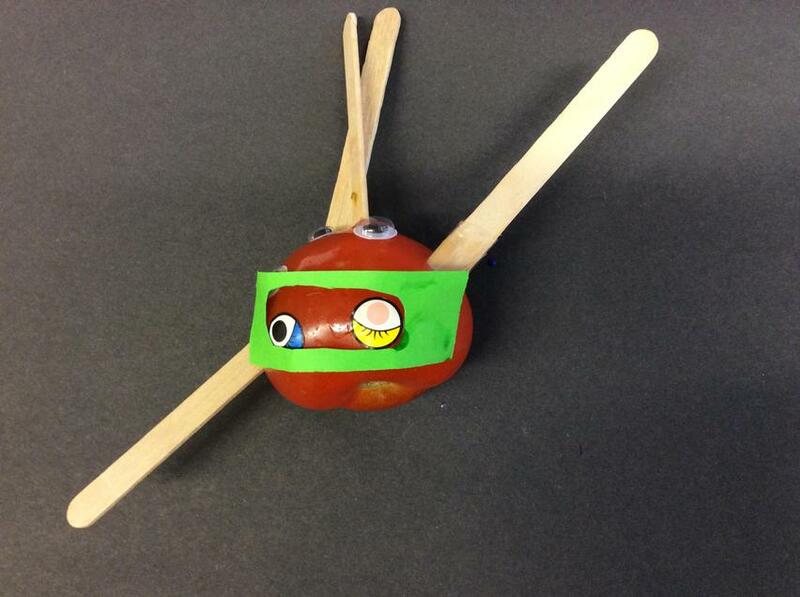 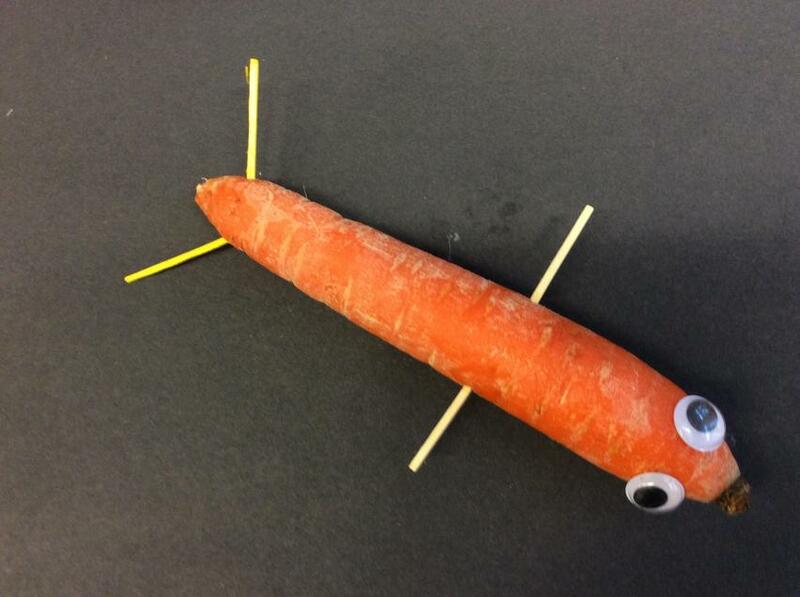 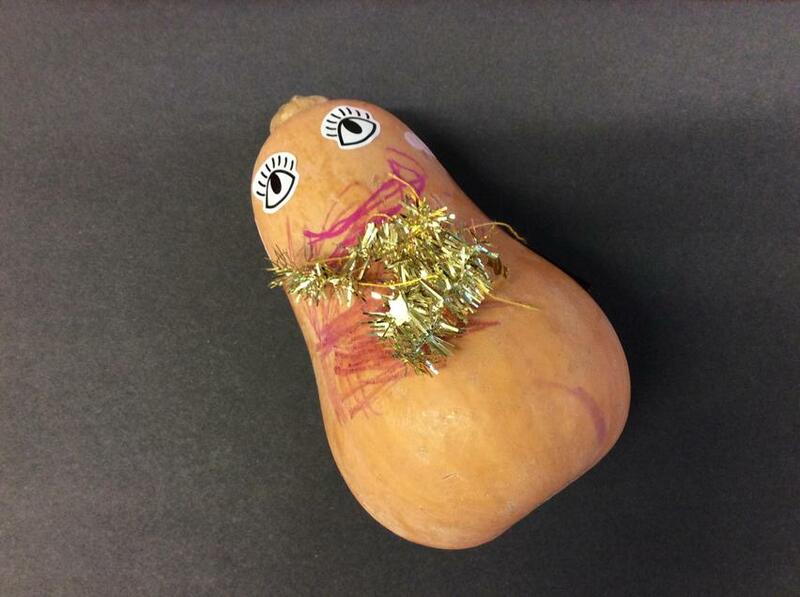 We designed and made our own super vegetables to protect our school and homes from the Evil Pea. 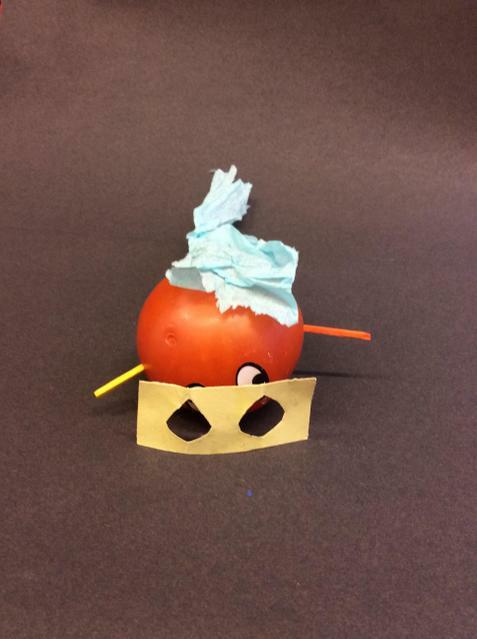 We will be using these next week to make up our own superhero stories. 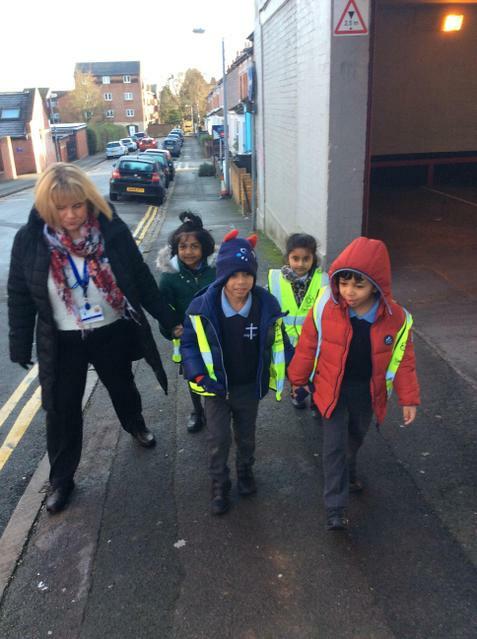 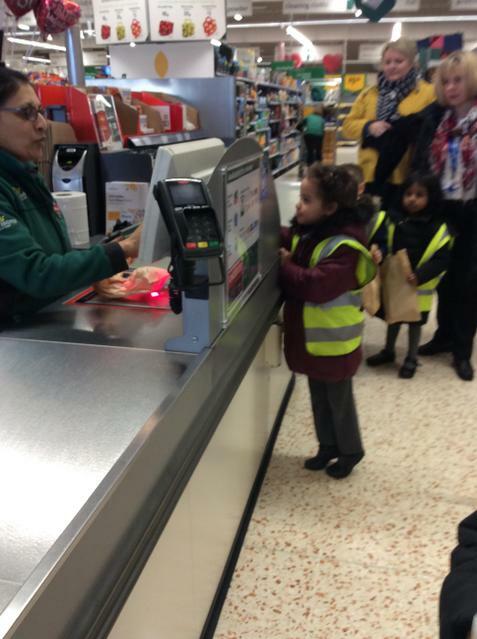 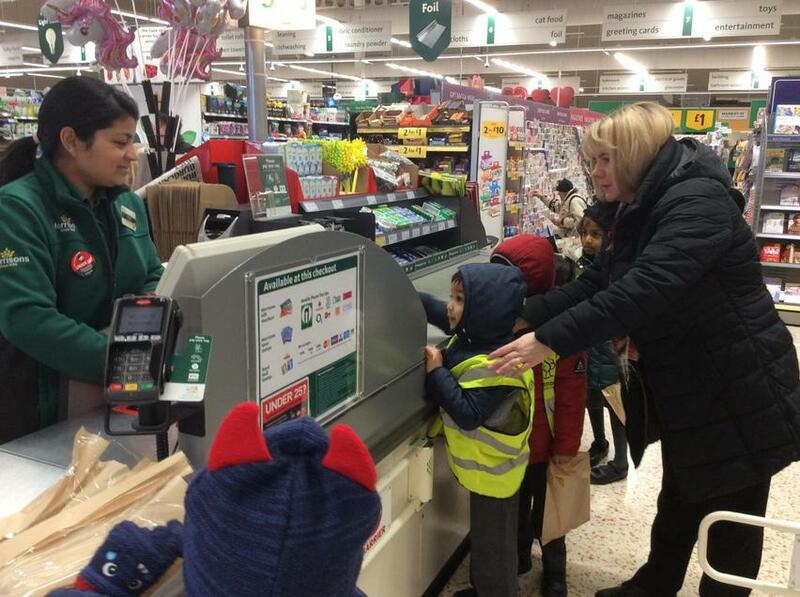 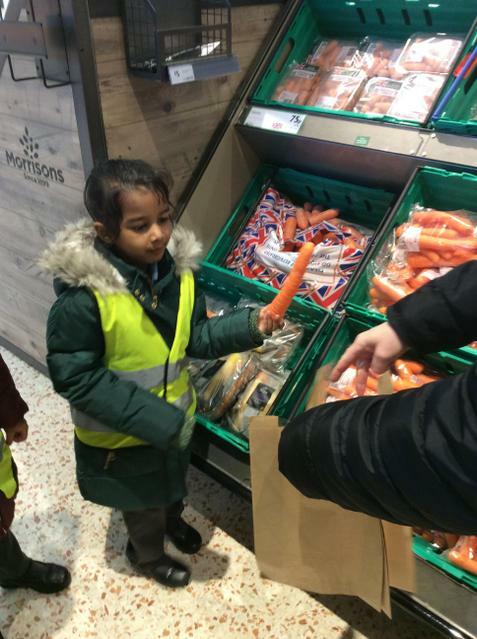 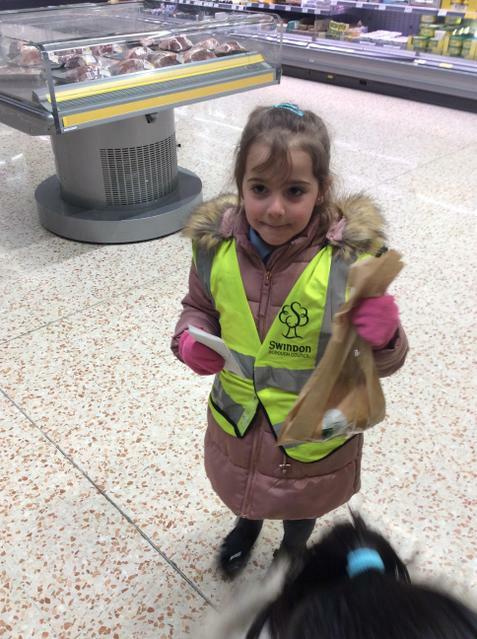 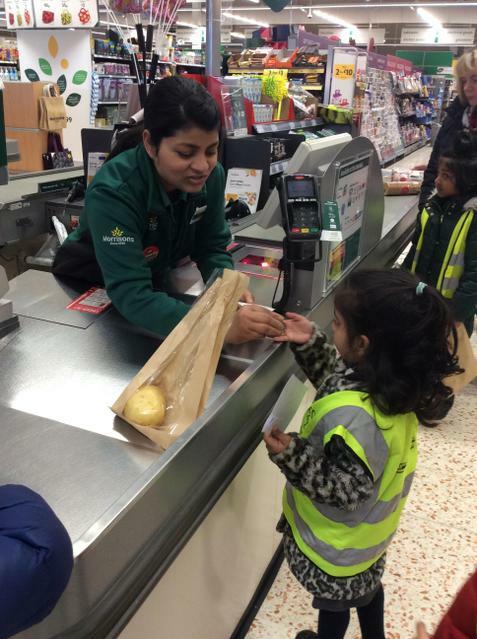 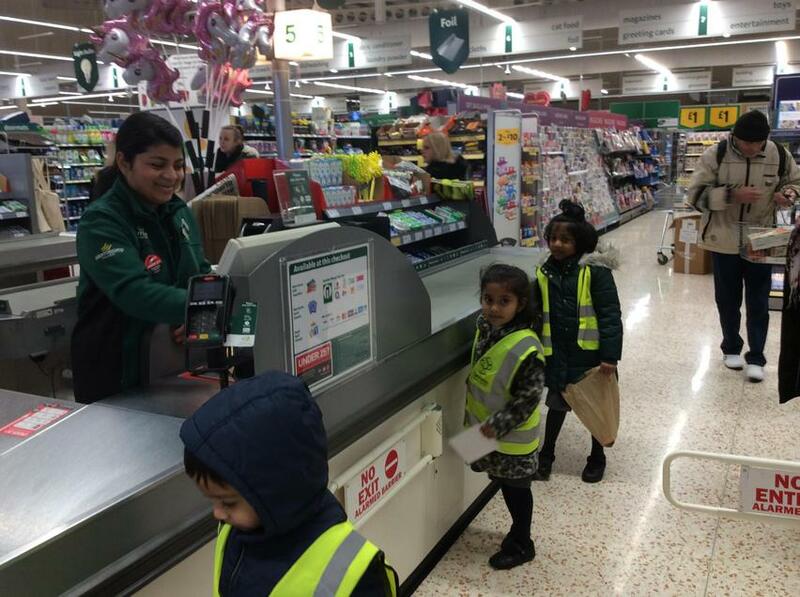 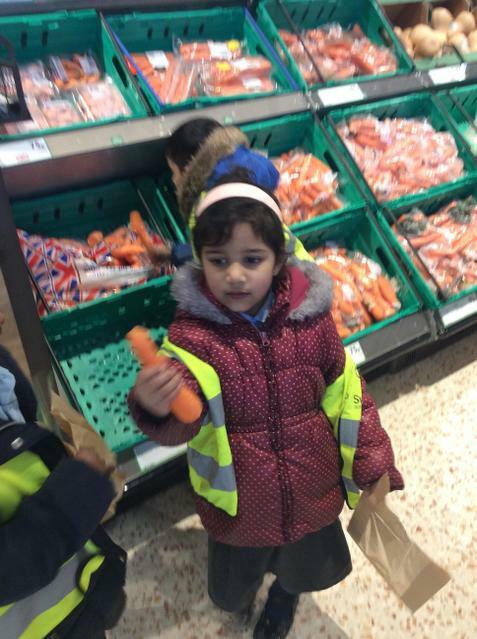 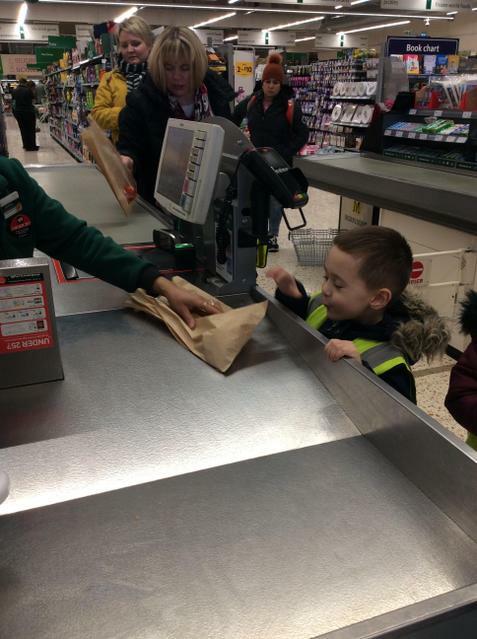 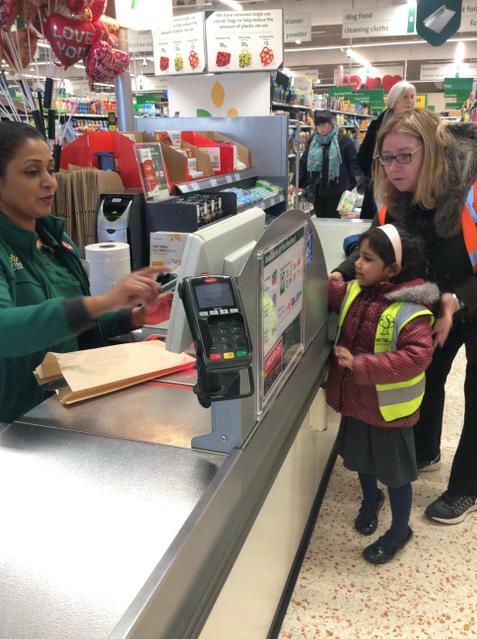 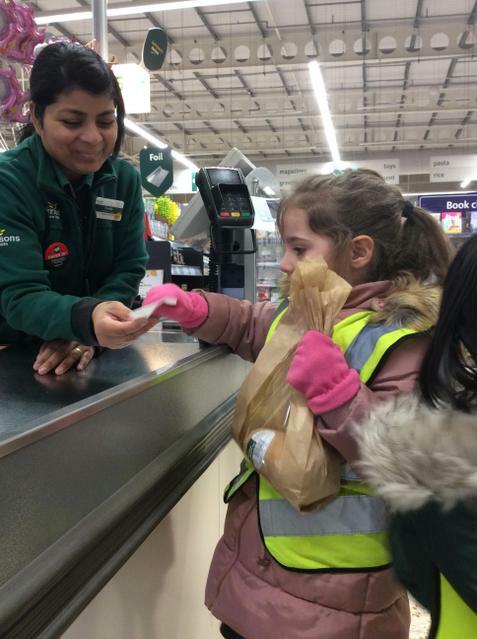 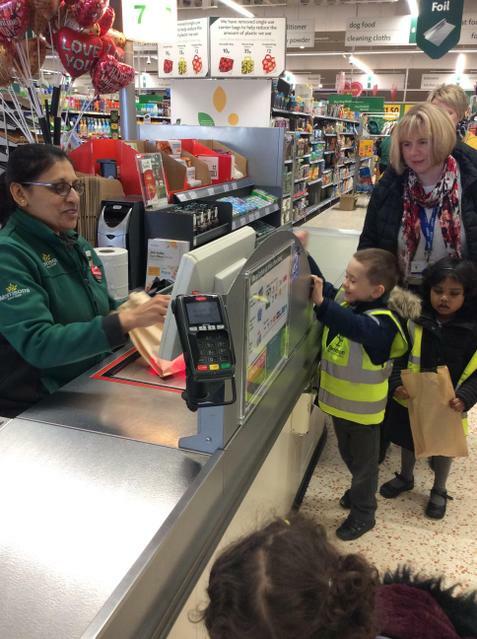 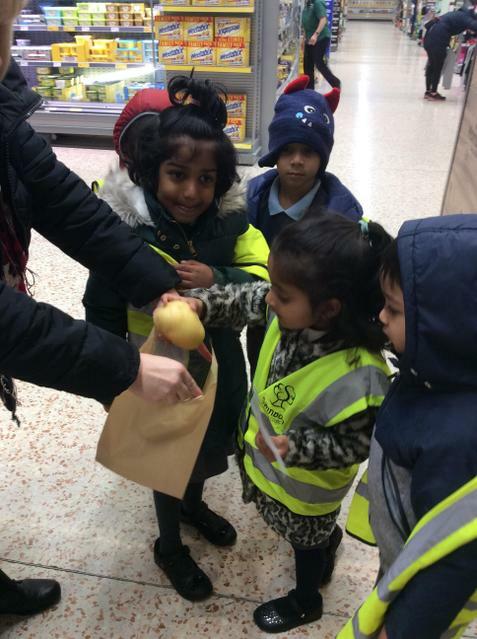 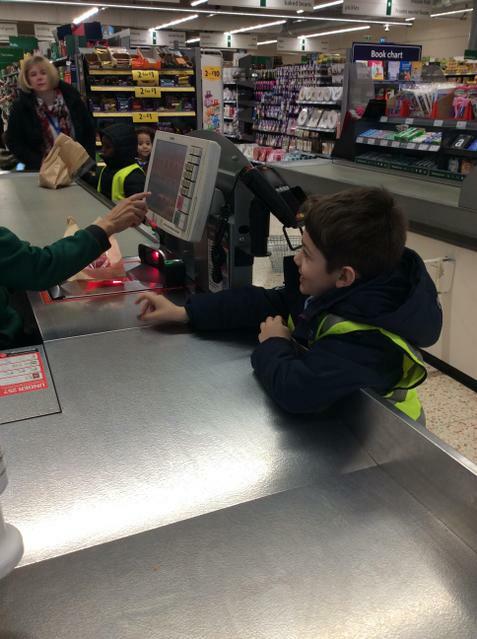 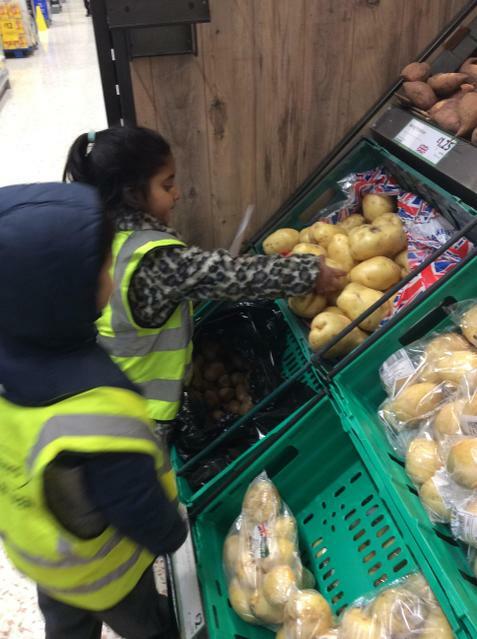 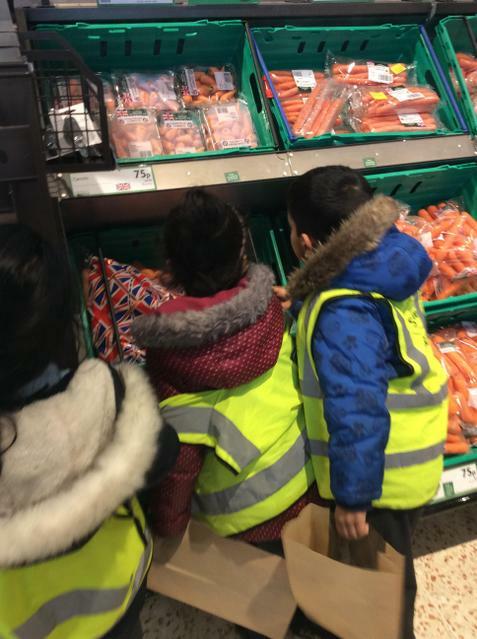 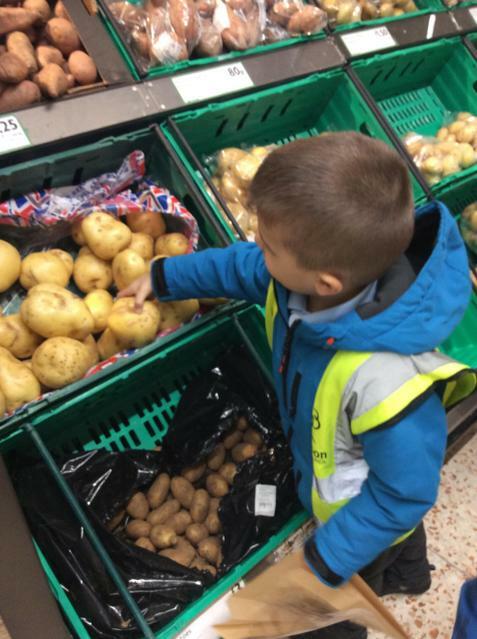 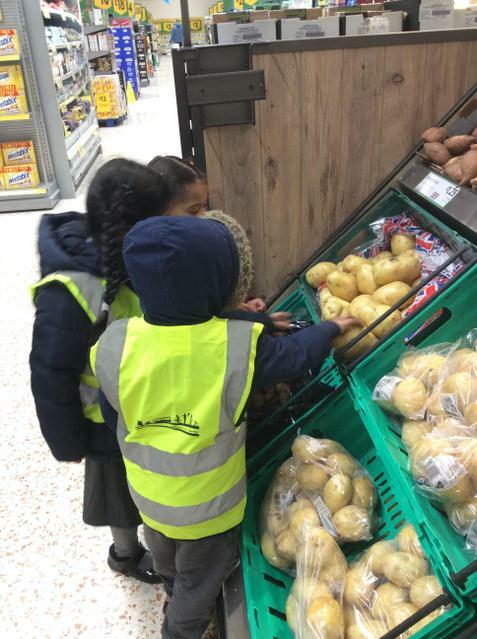 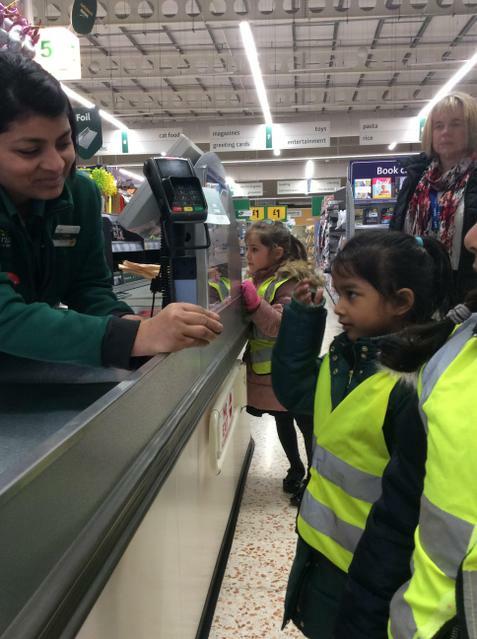 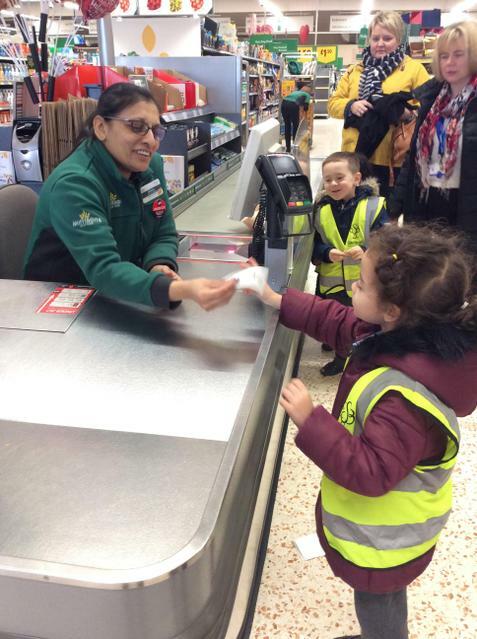 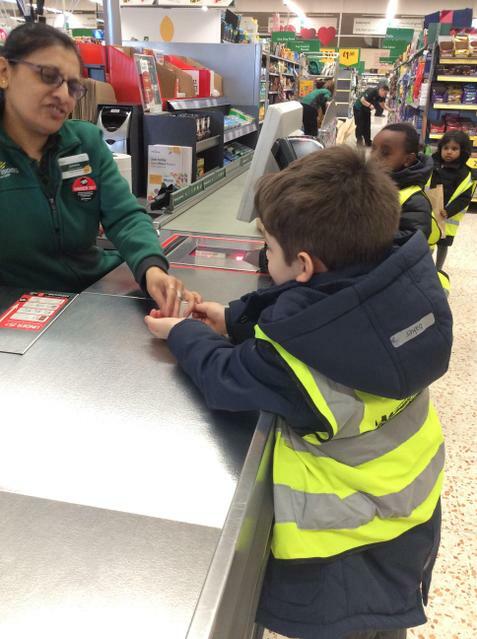 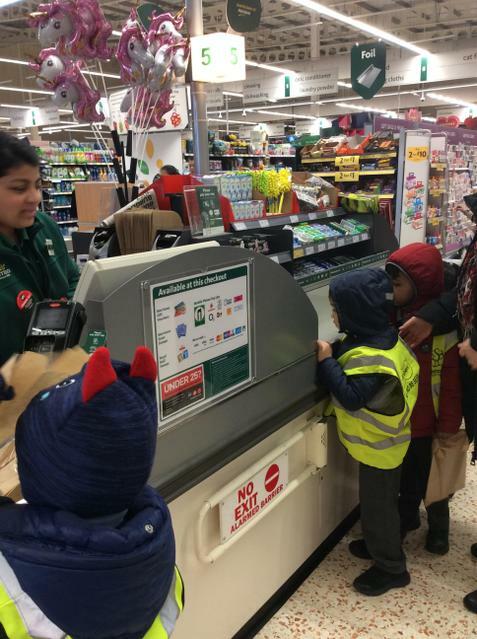 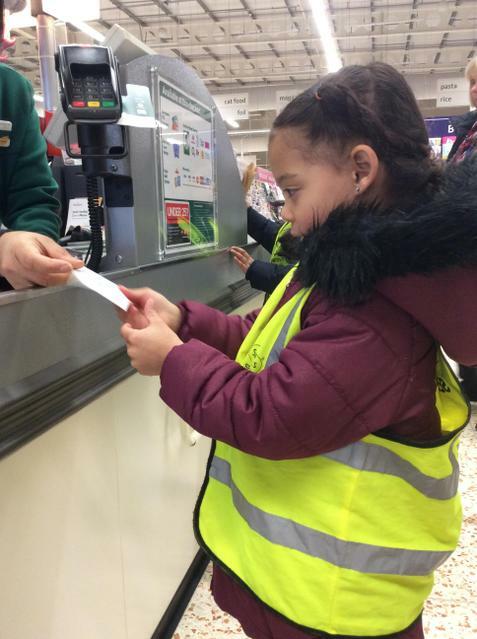 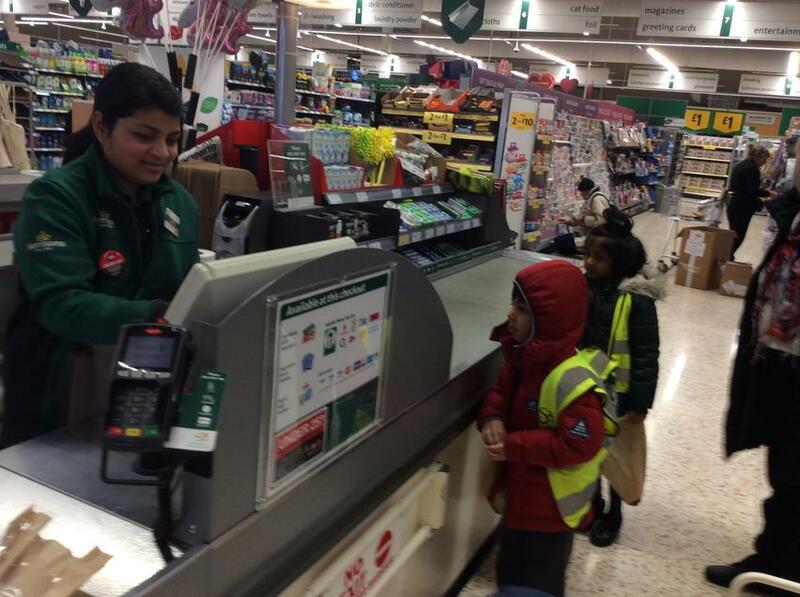 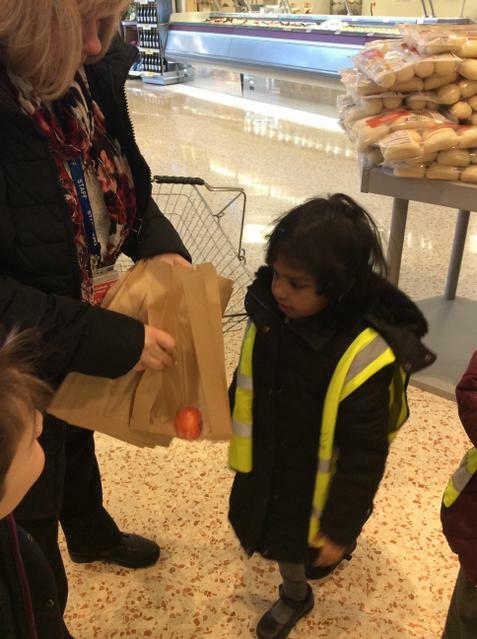 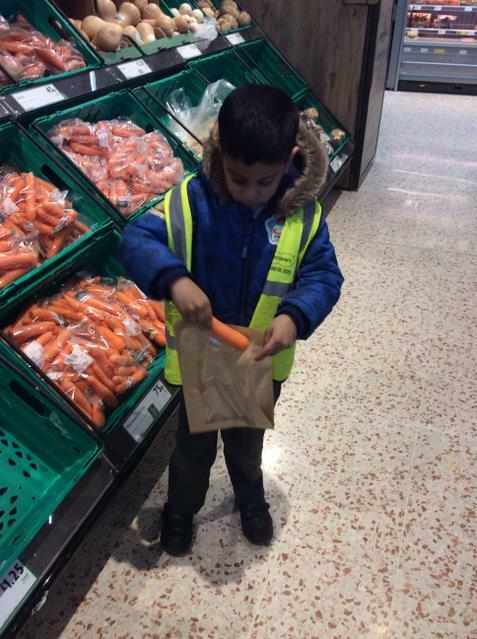 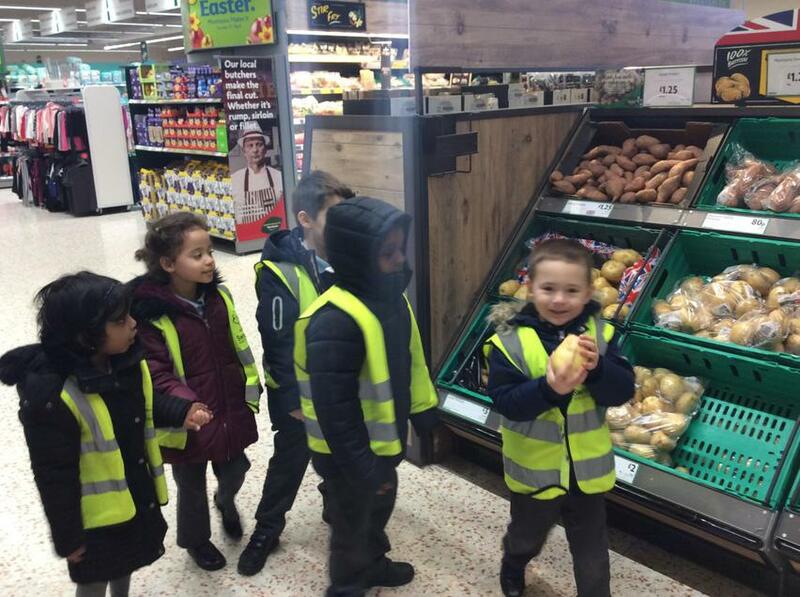 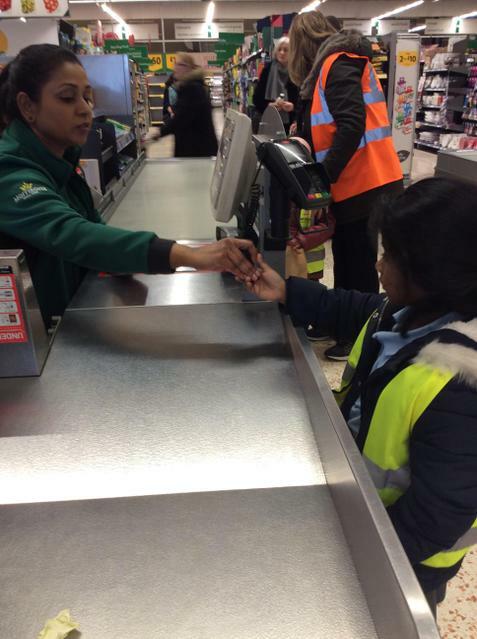 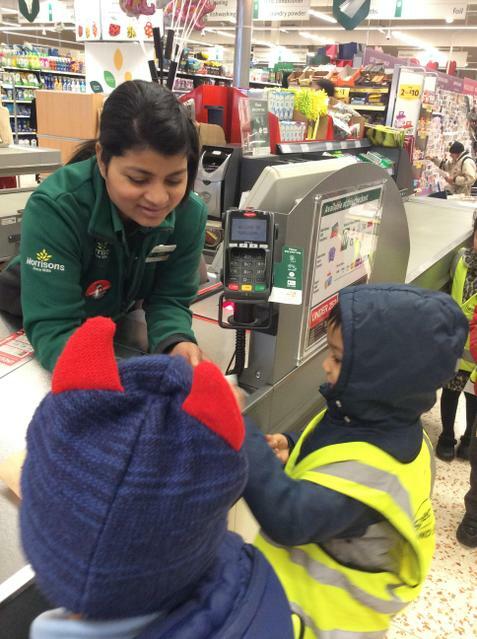 We walked across to Morrisons to shop for some fruit and vegetables to make our own Super veggies! 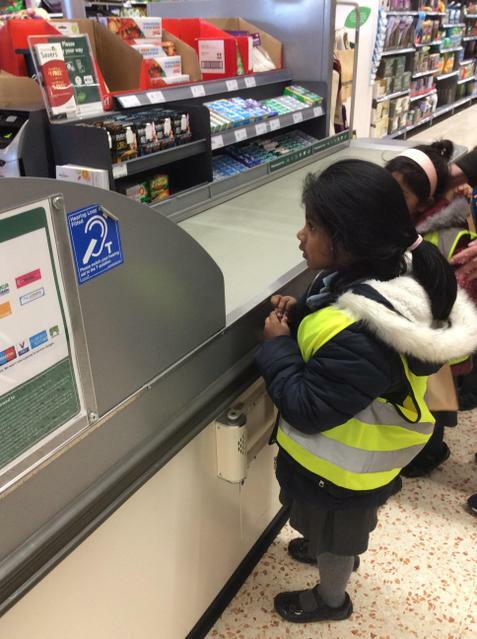 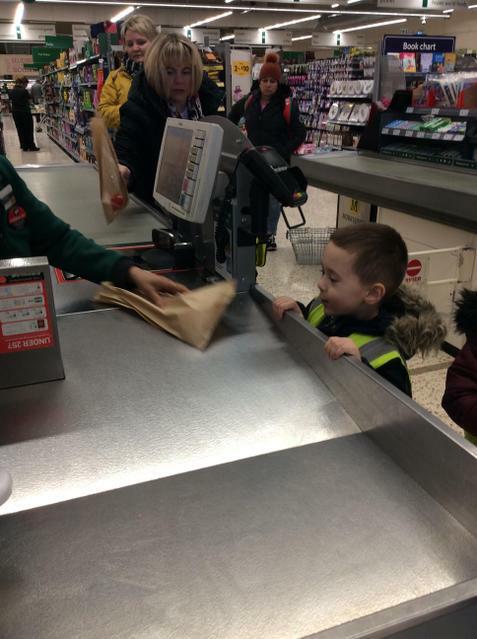 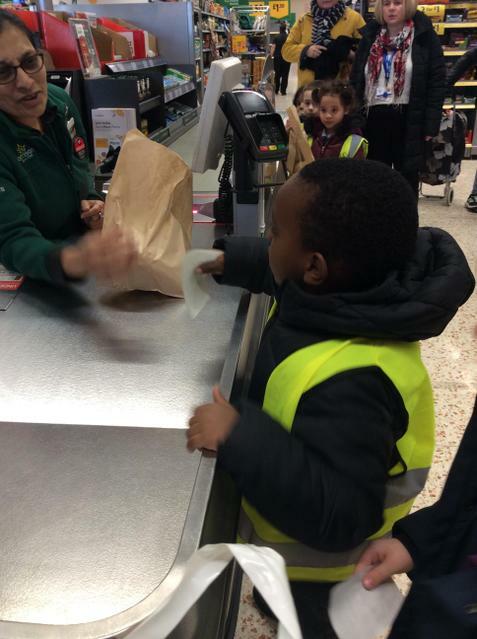 We used our shopping list to remind us of what we needed to buy paid for them all by ourselves. 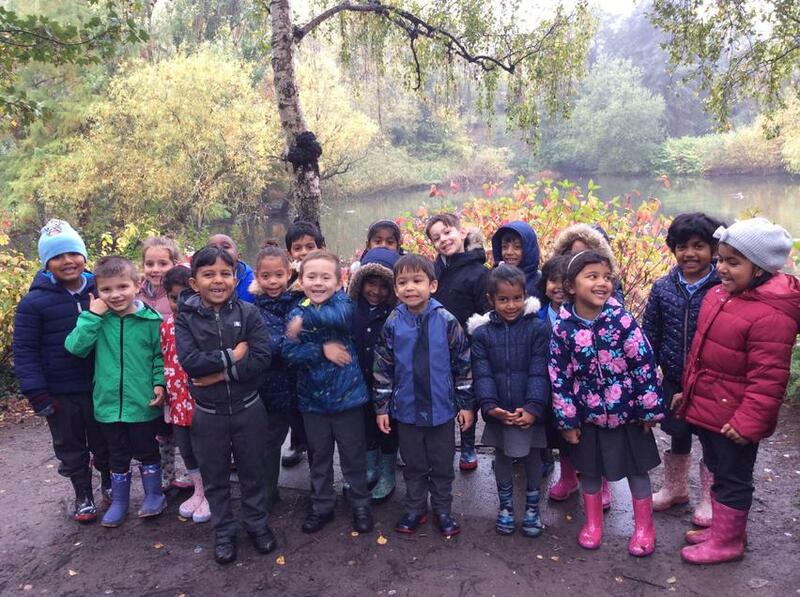 We were very well behaved and remembered our manners. 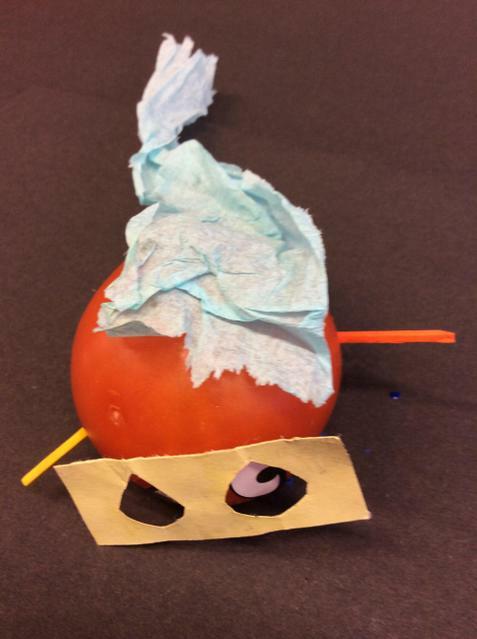 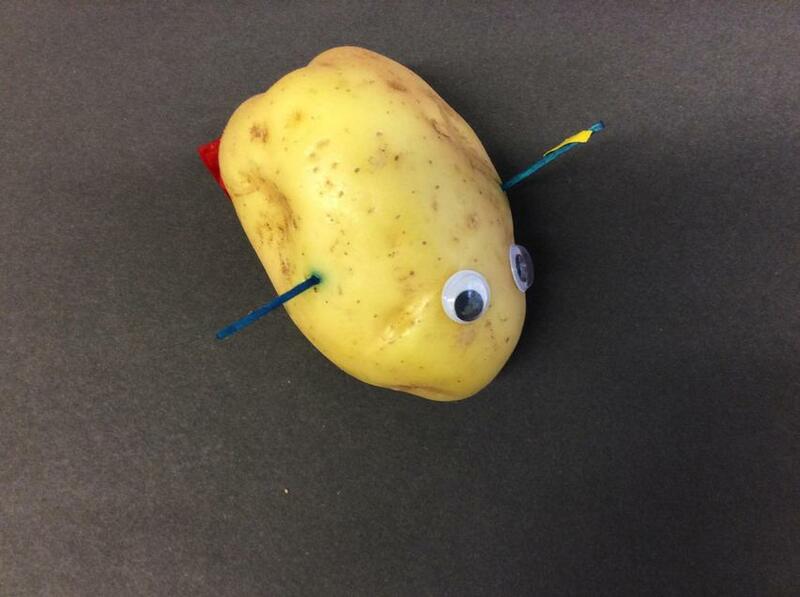 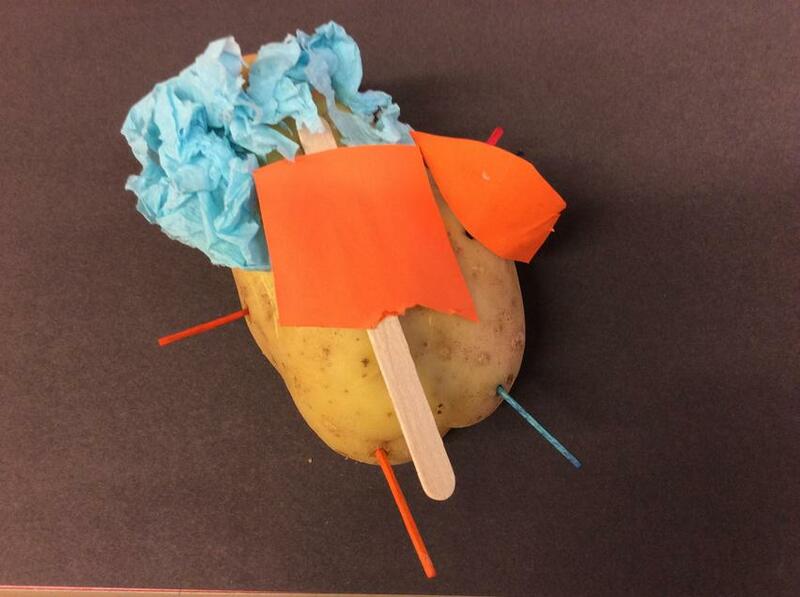 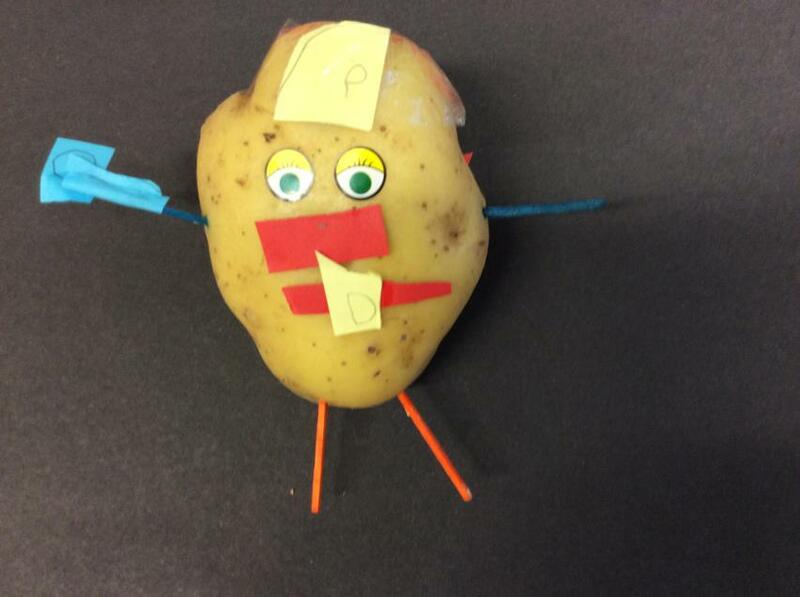 We read the story, 'Supertato' in class and since then Evil Pea has been causing all sorts of mischief in school. 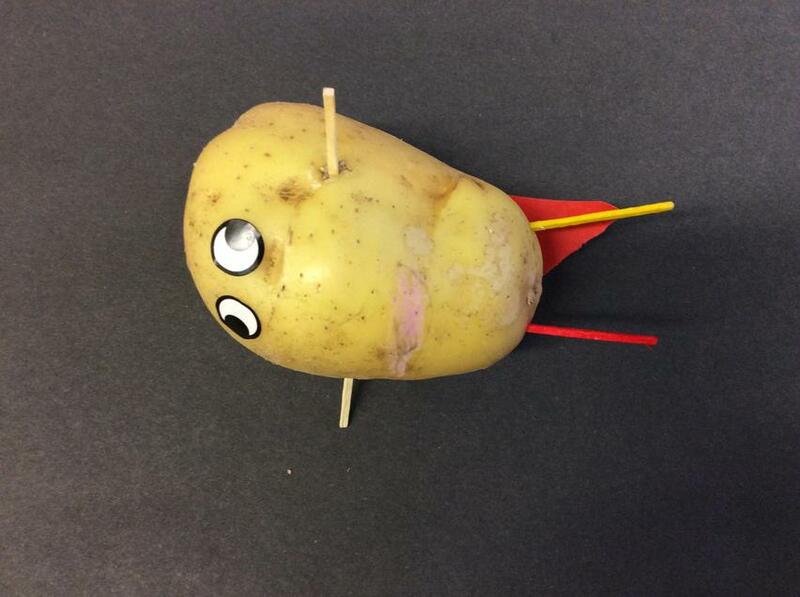 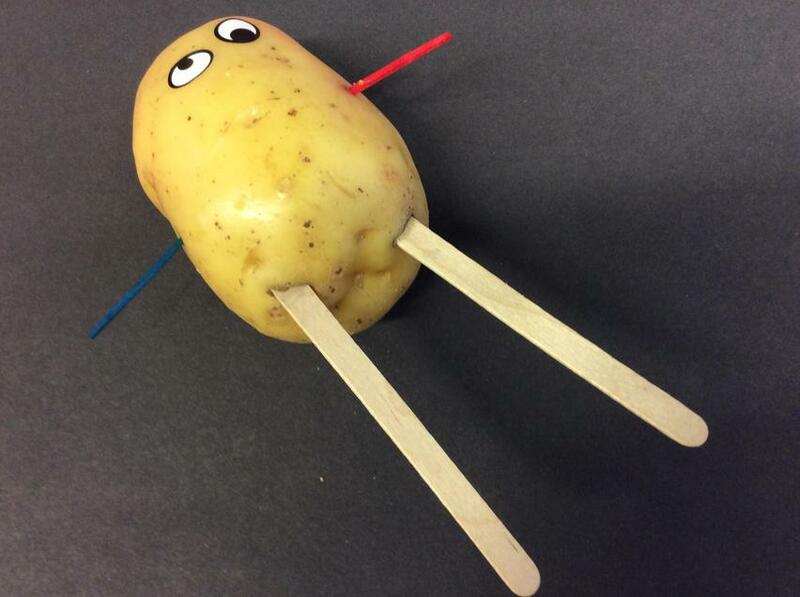 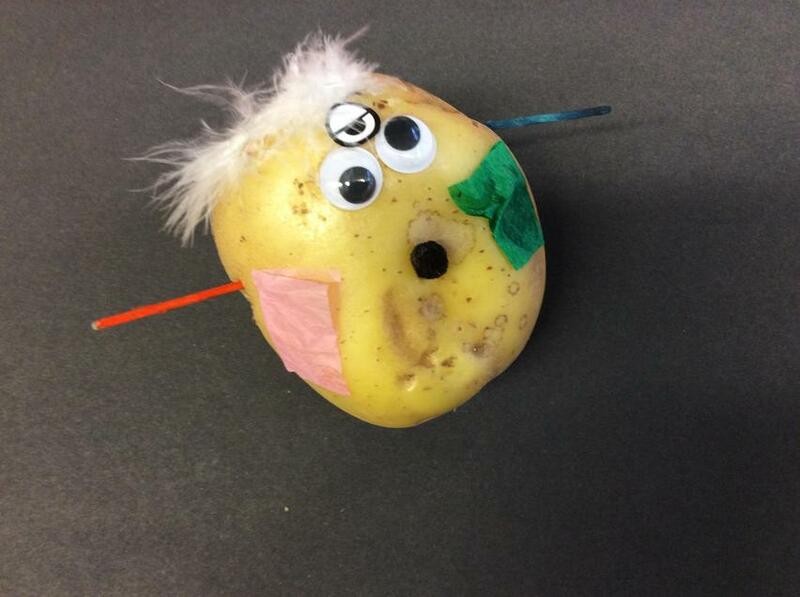 Supertato has been kidnapped by Evil Pea so the vegetables have asked for our help. 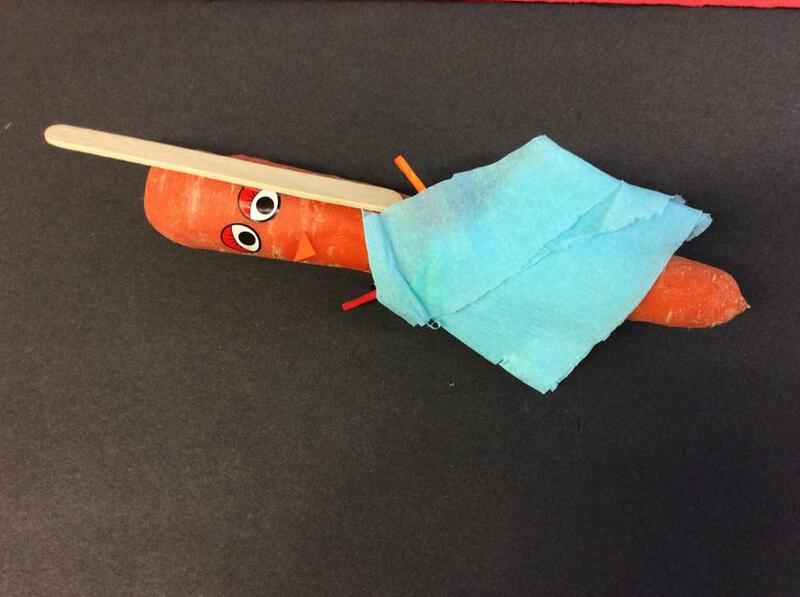 We have been busy making wanted posters, rescuing vegetables frozen in ice and making our own Super Veggies! 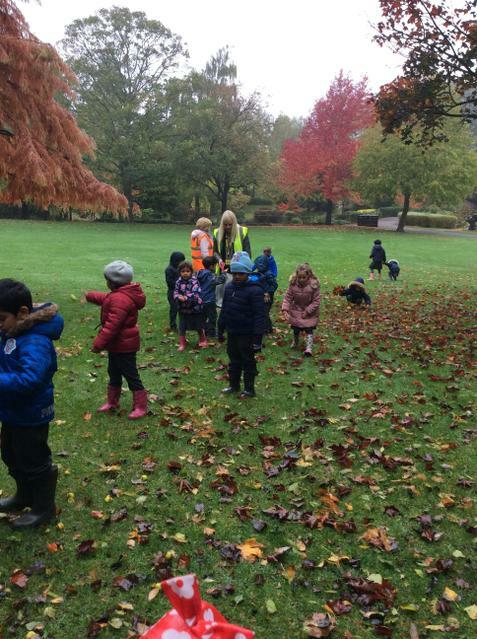 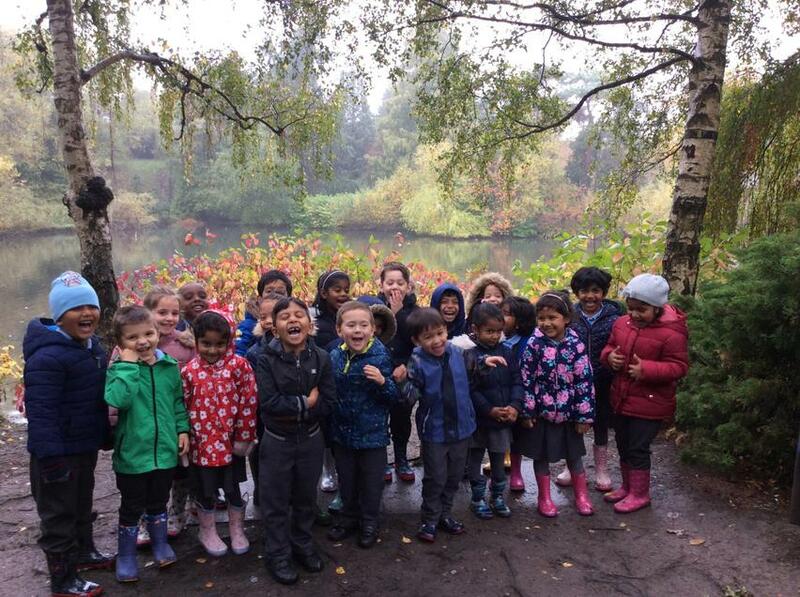 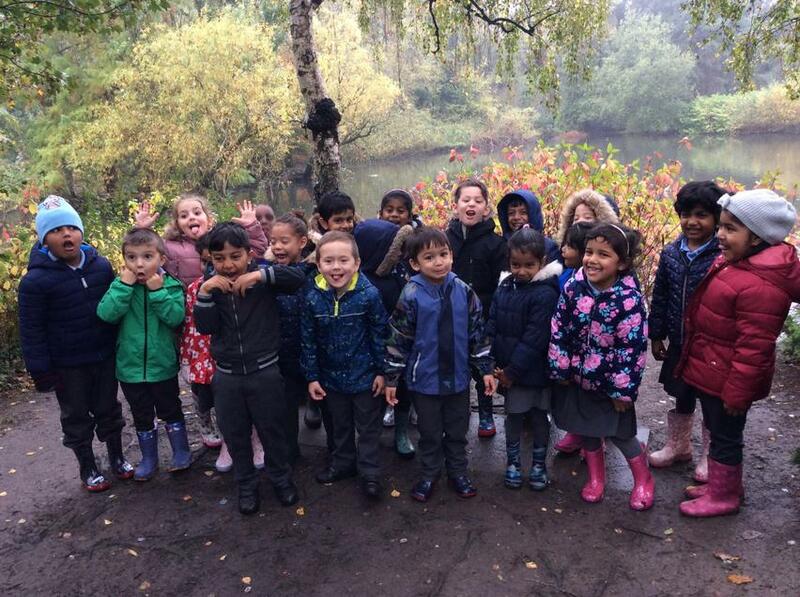 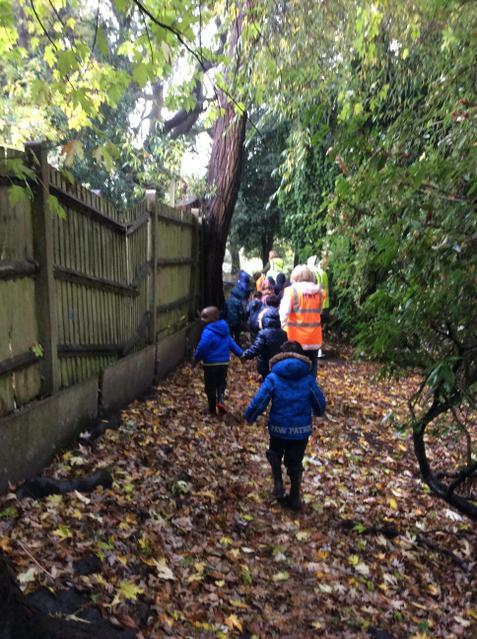 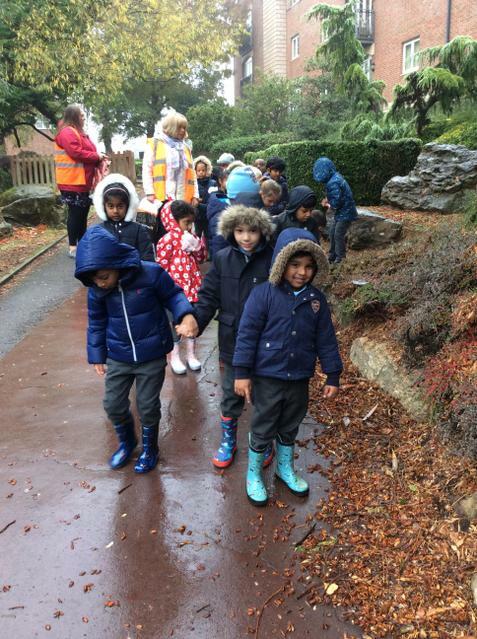 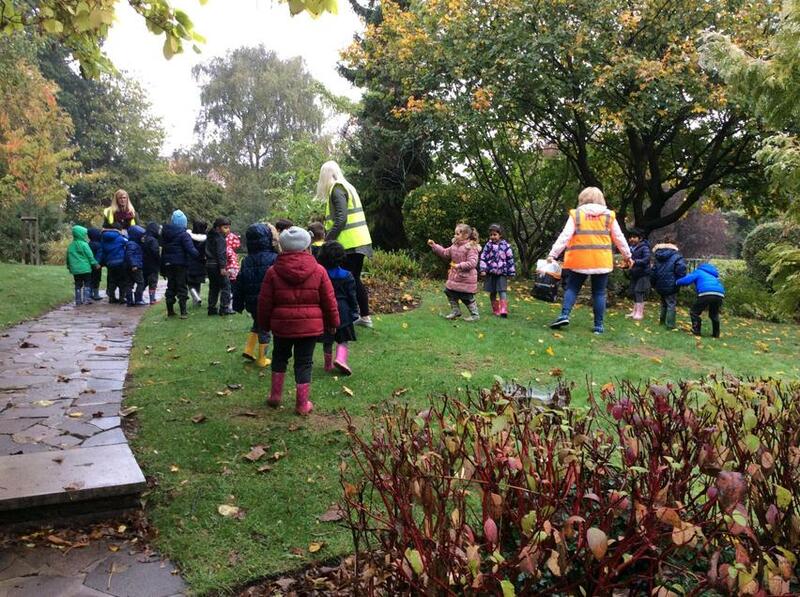 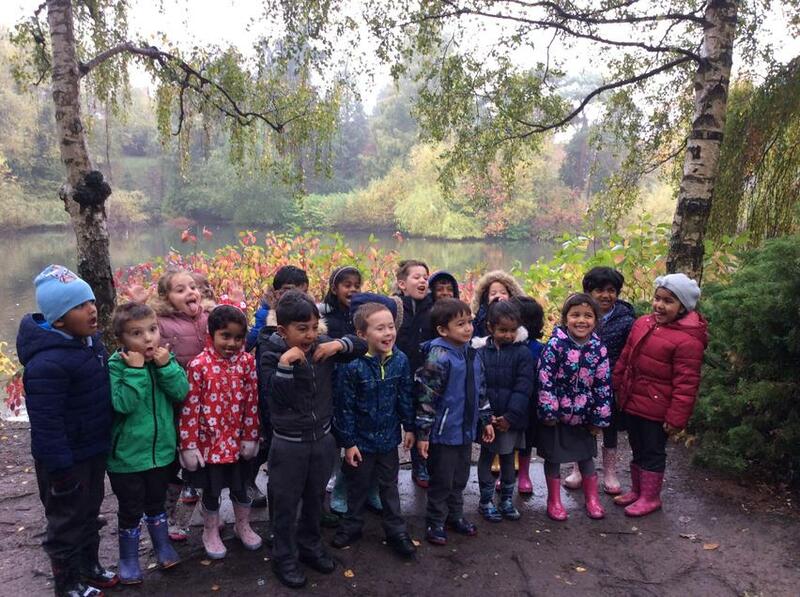 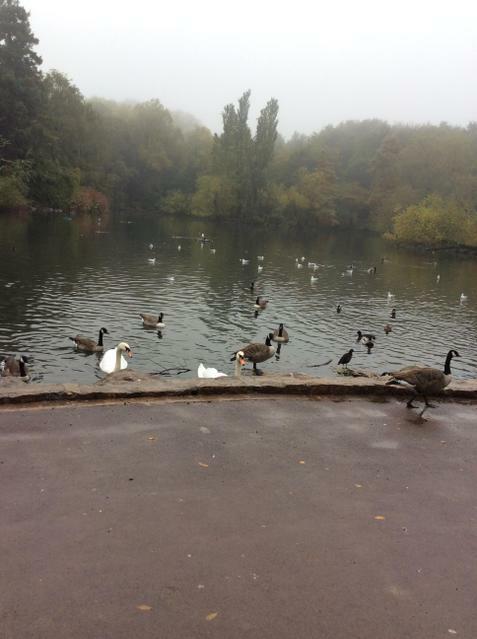 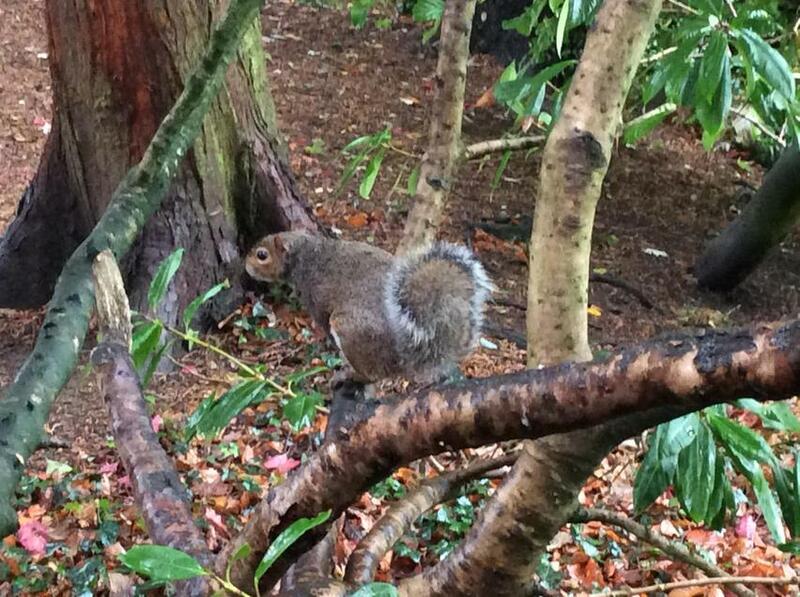 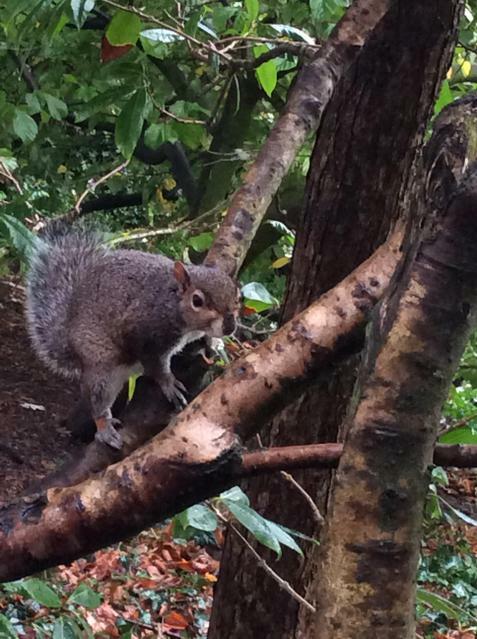 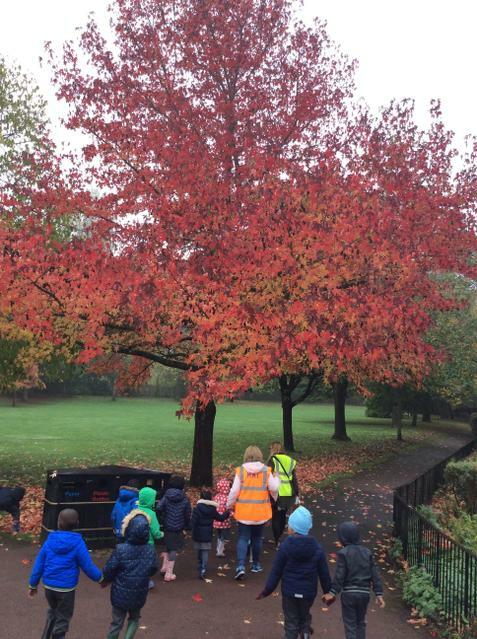 We went for a walk around Queens Park to look for signs of Autumn. 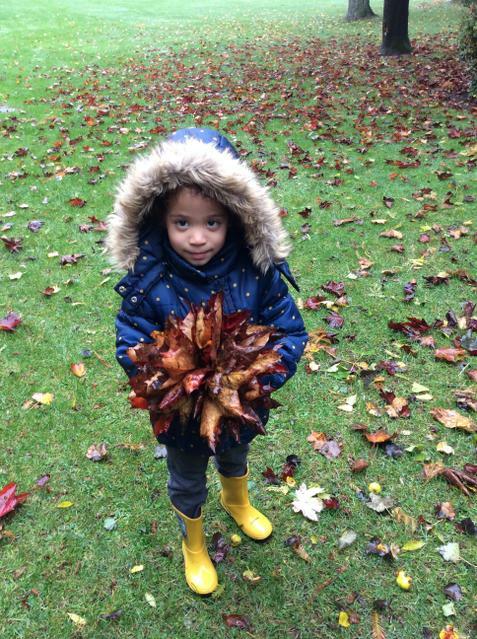 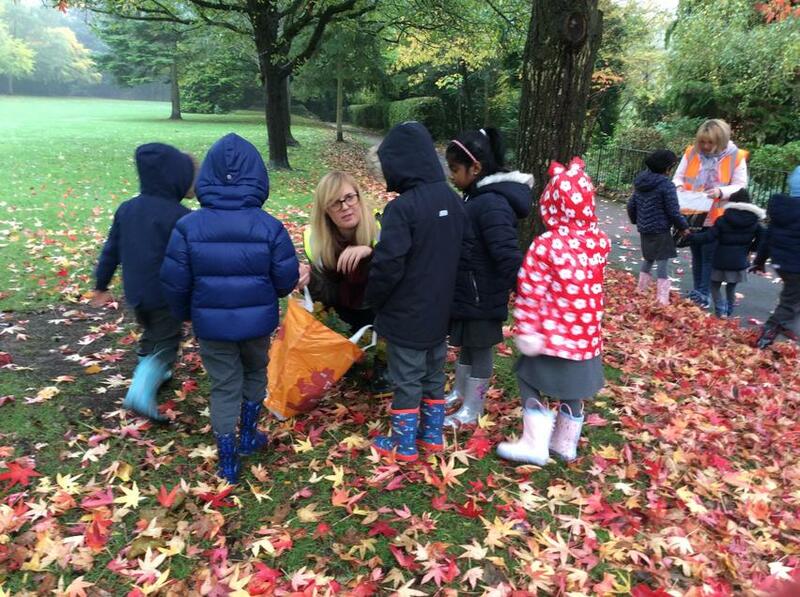 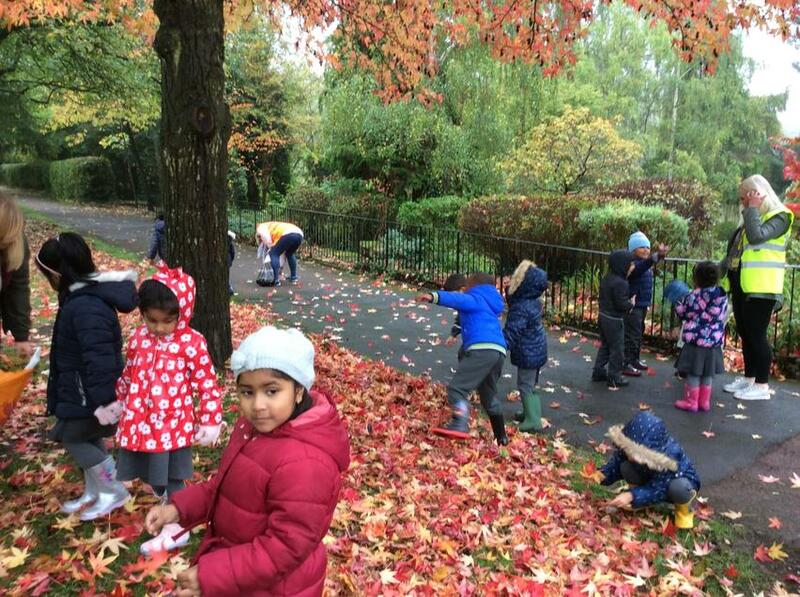 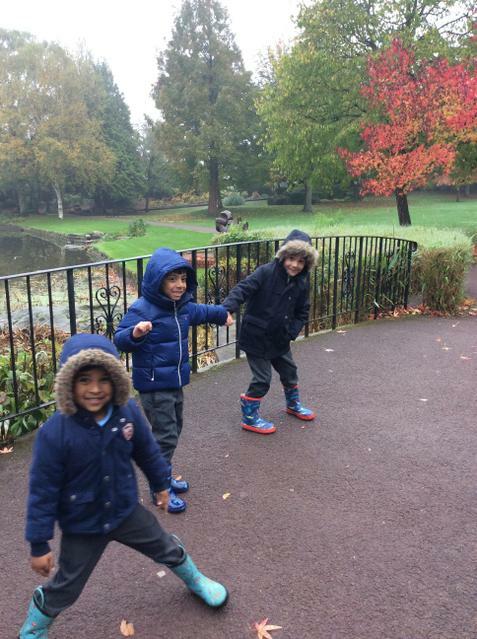 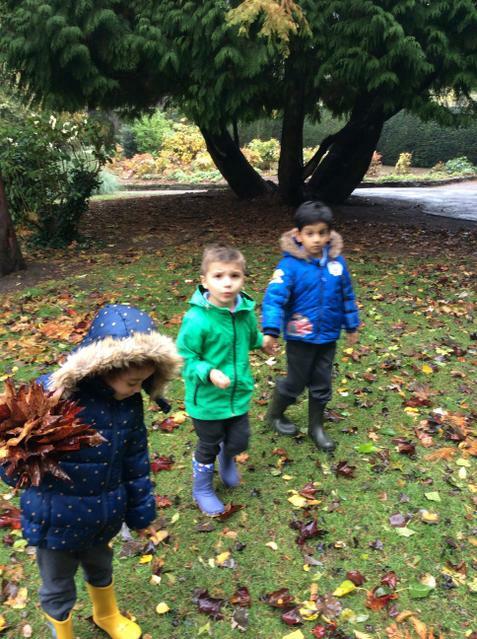 We enjoyed collecting leaves of different shape and colour. 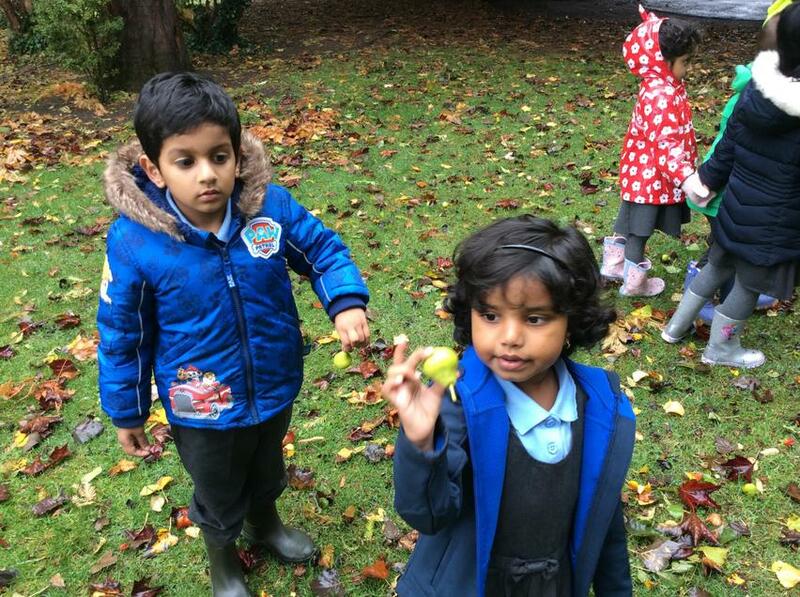 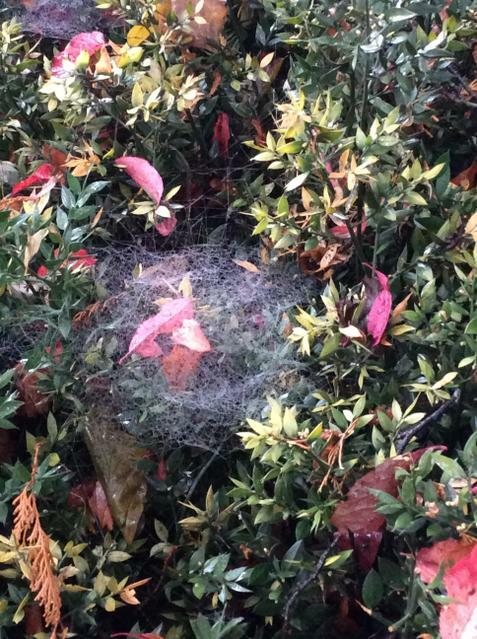 We noticed that not all leaves change colour in Autumn. 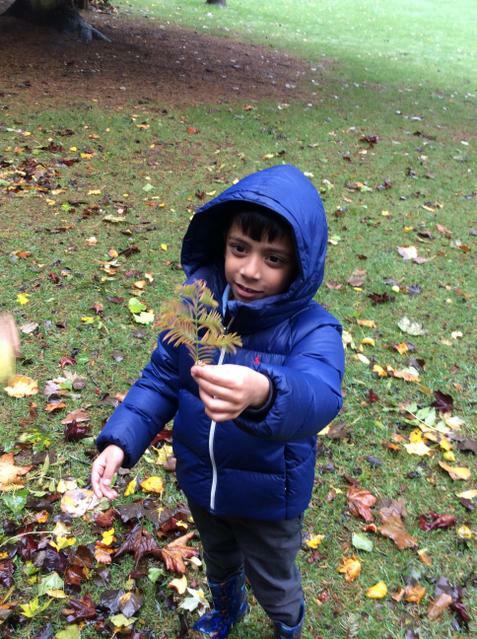 Can you remember what plants are called that stay green all year round?